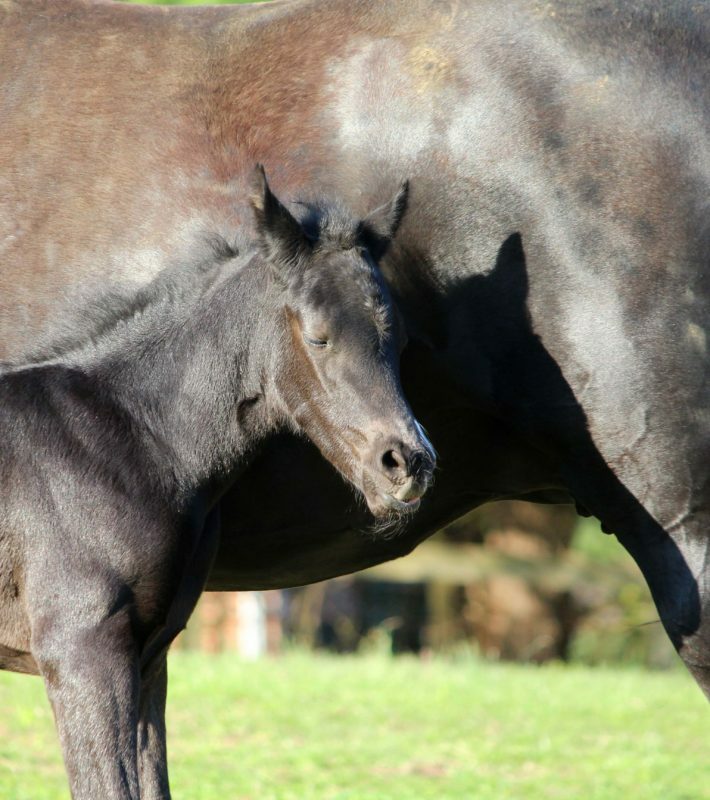 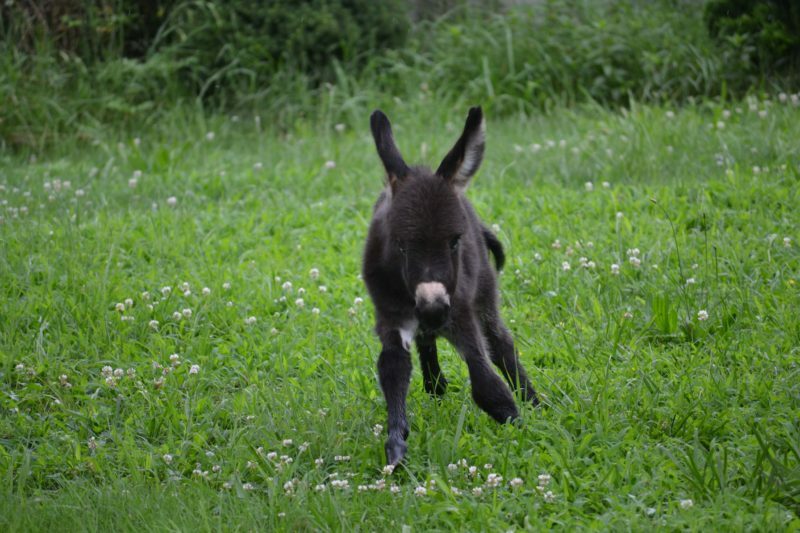 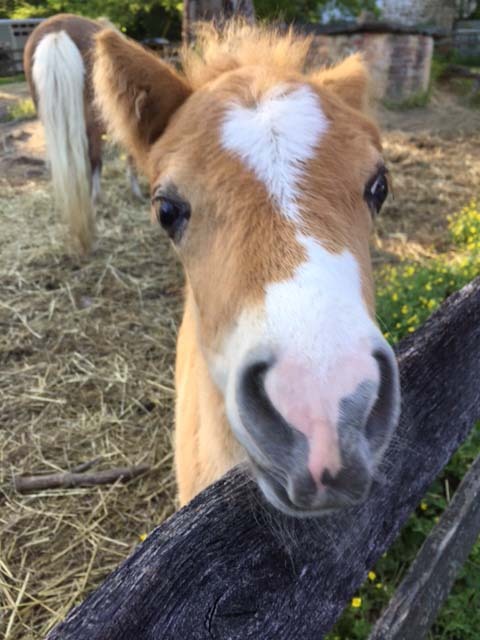 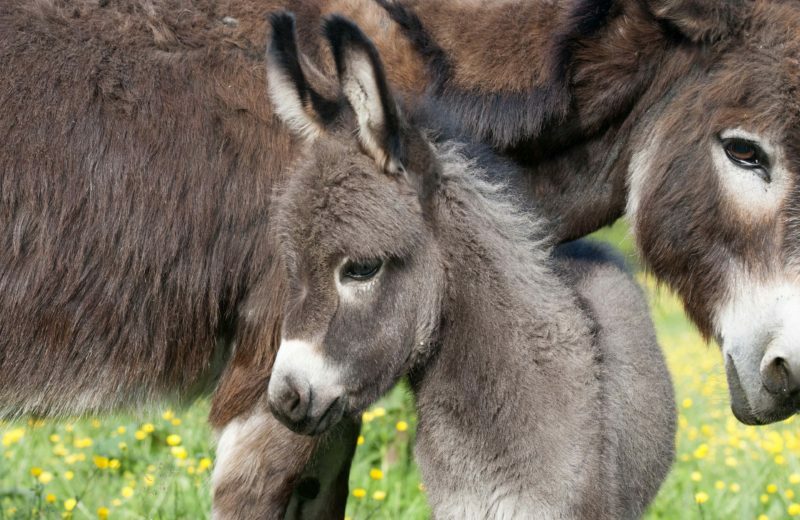 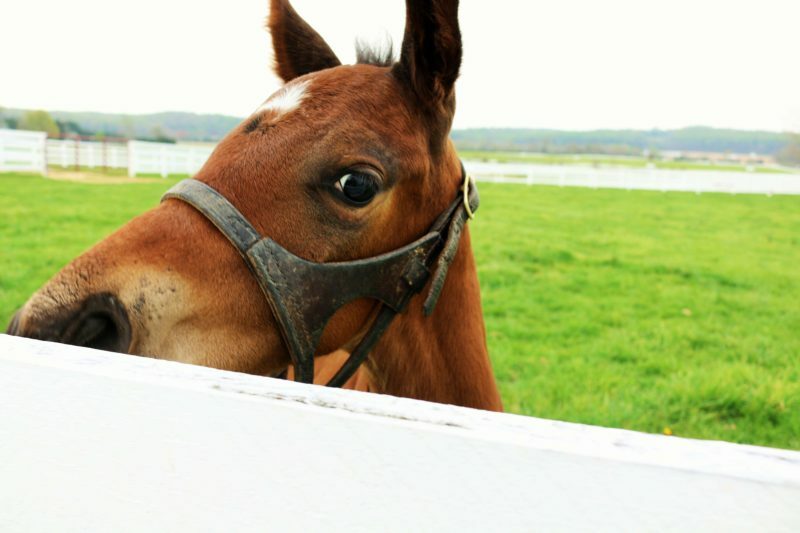 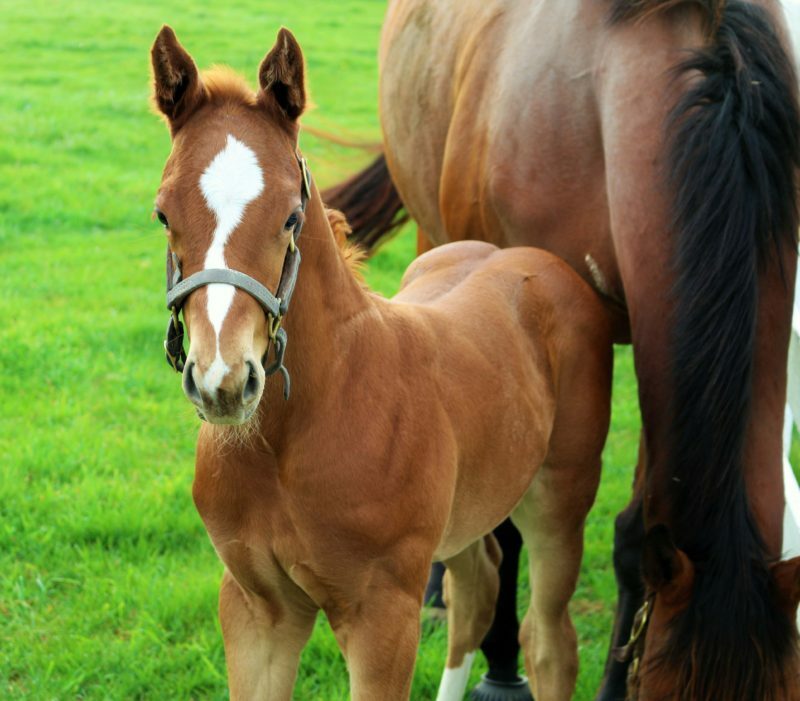 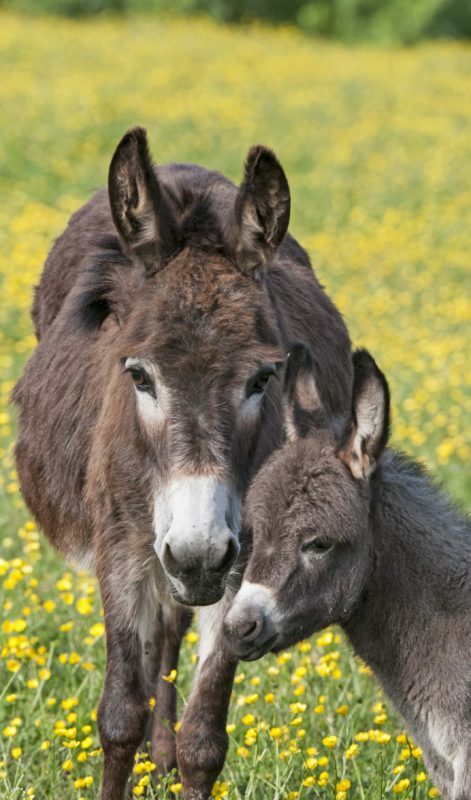 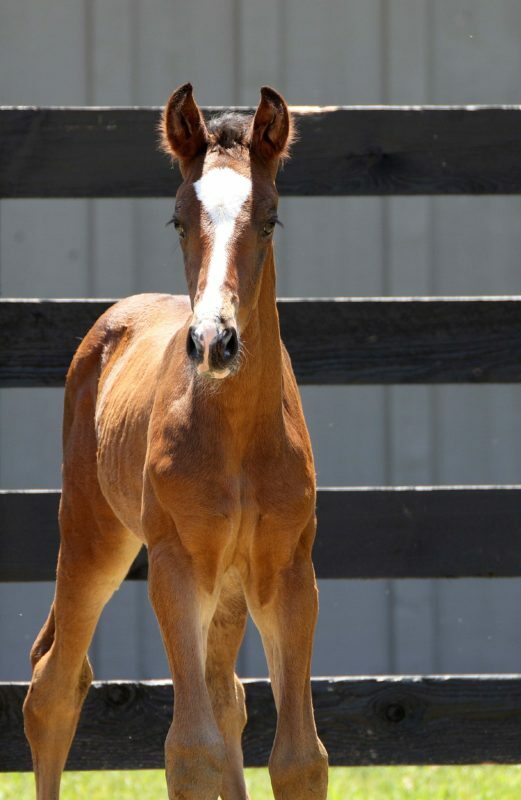 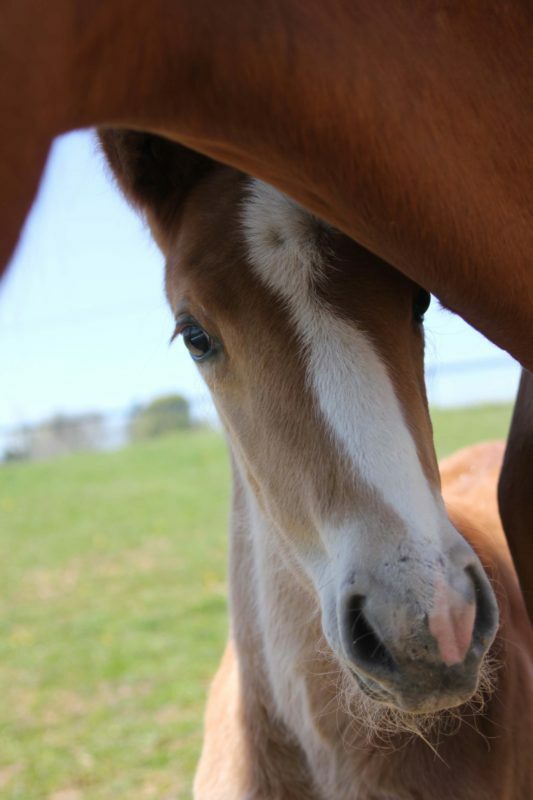 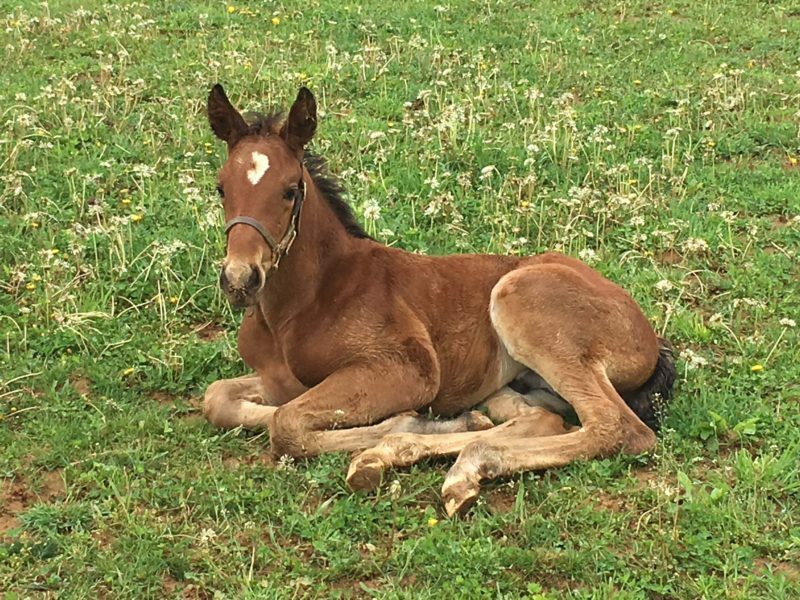 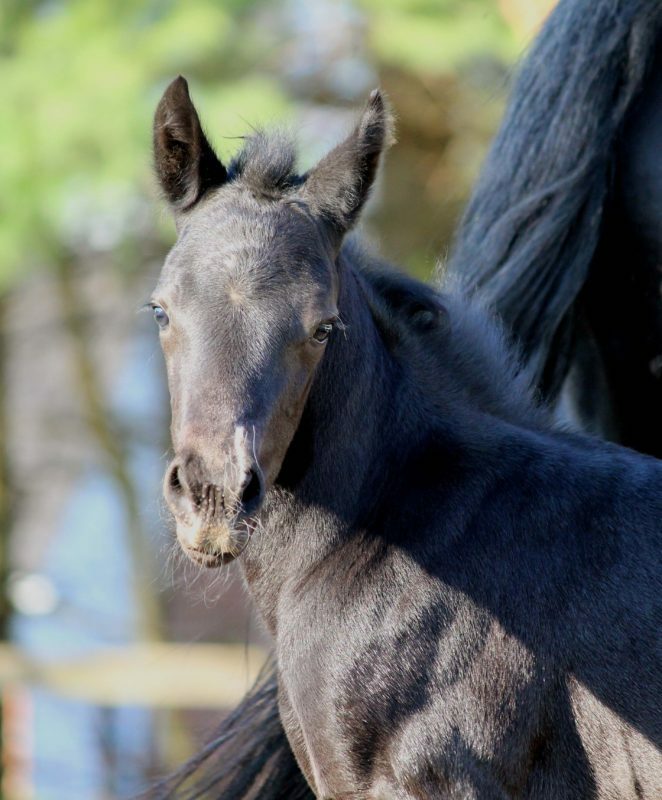 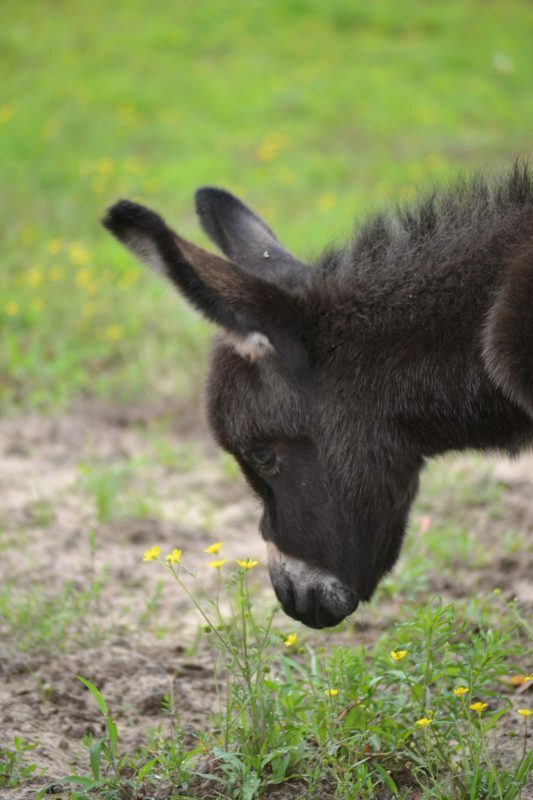 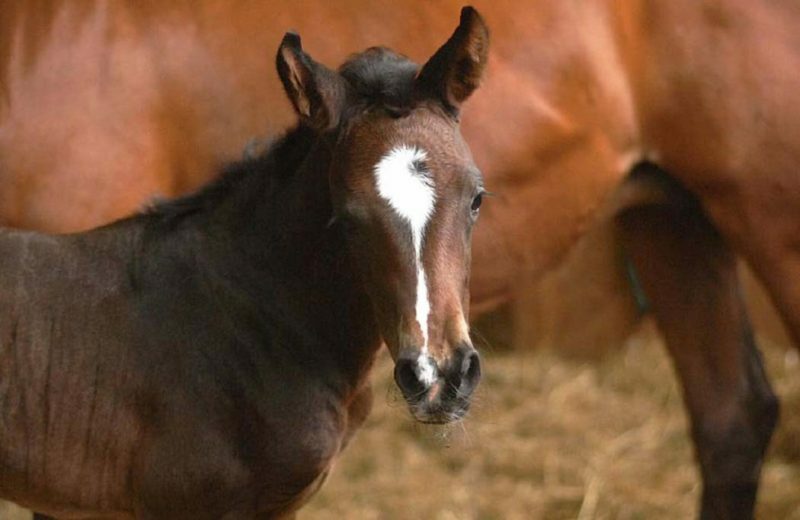 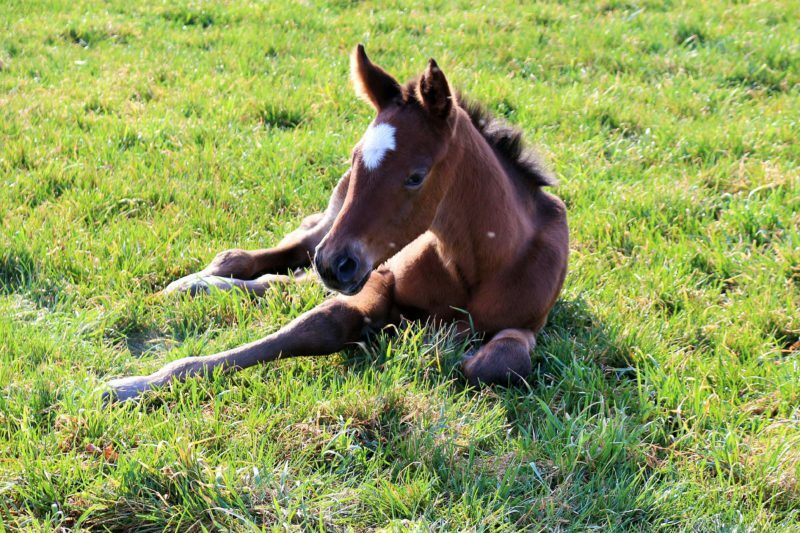 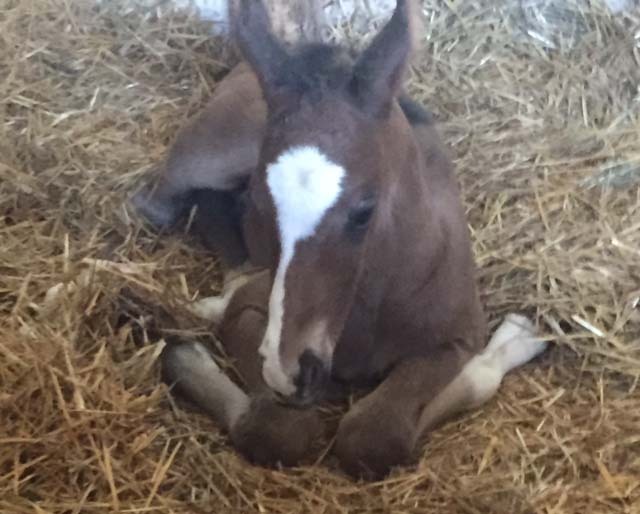 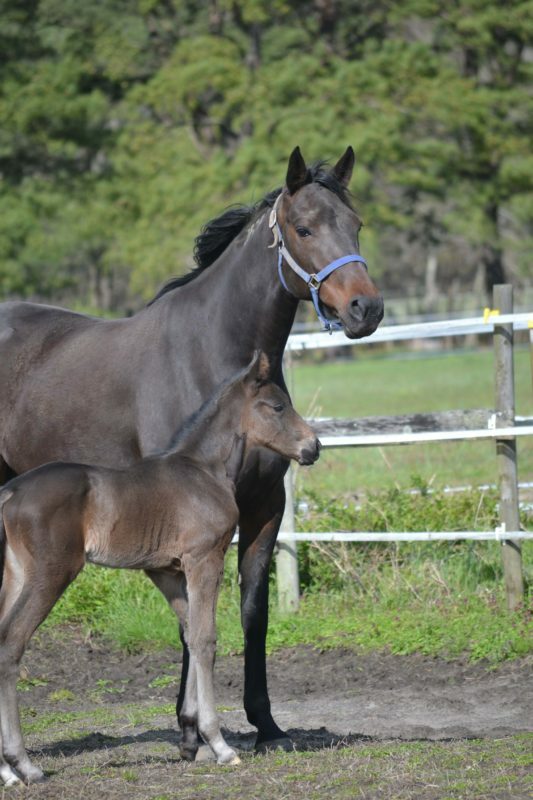 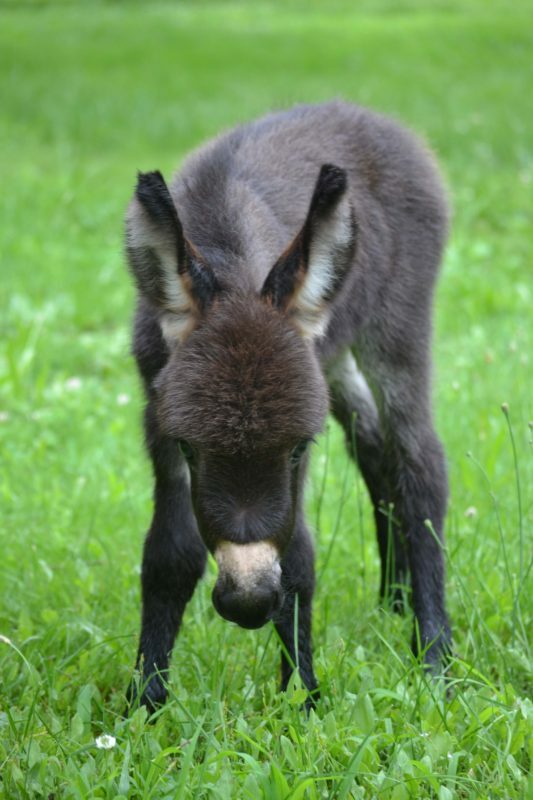 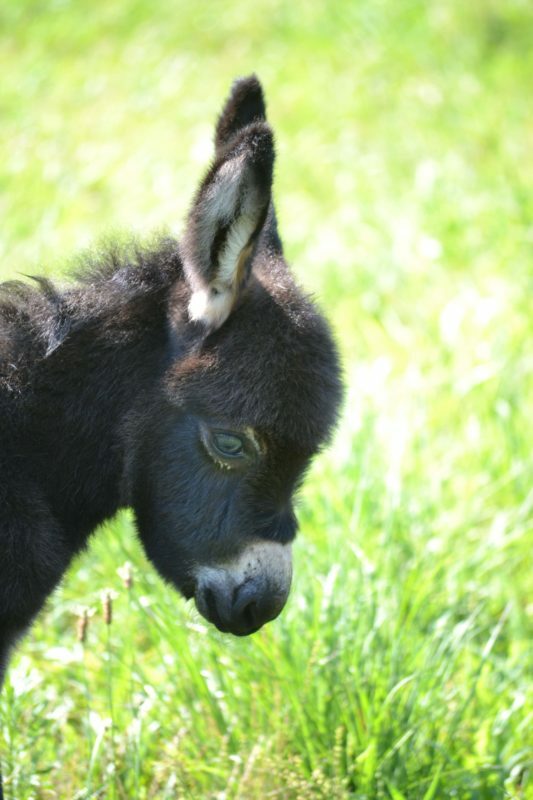 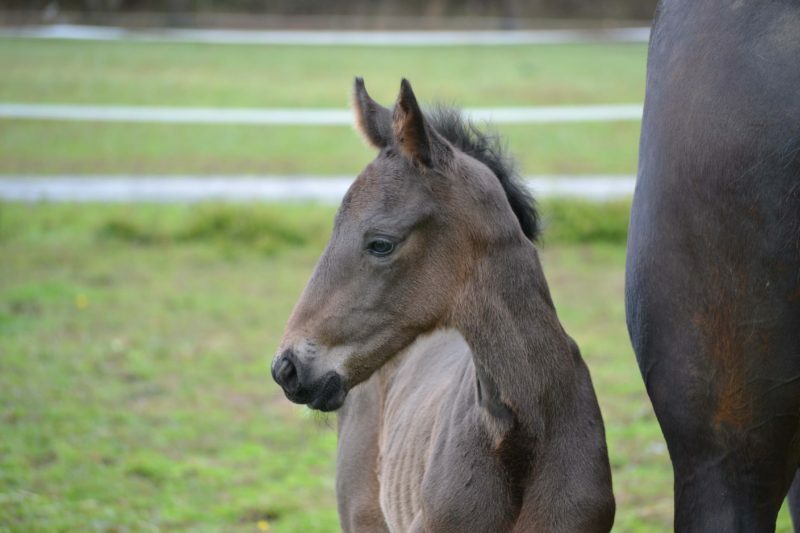 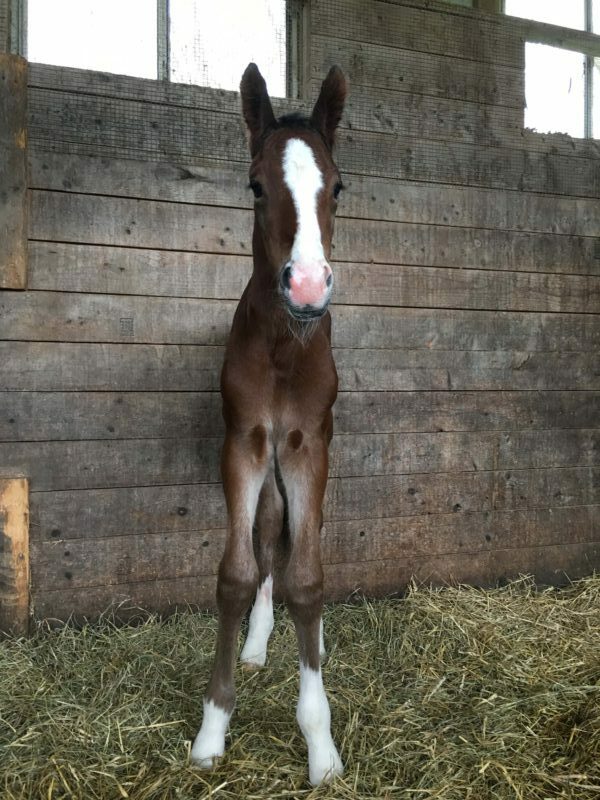 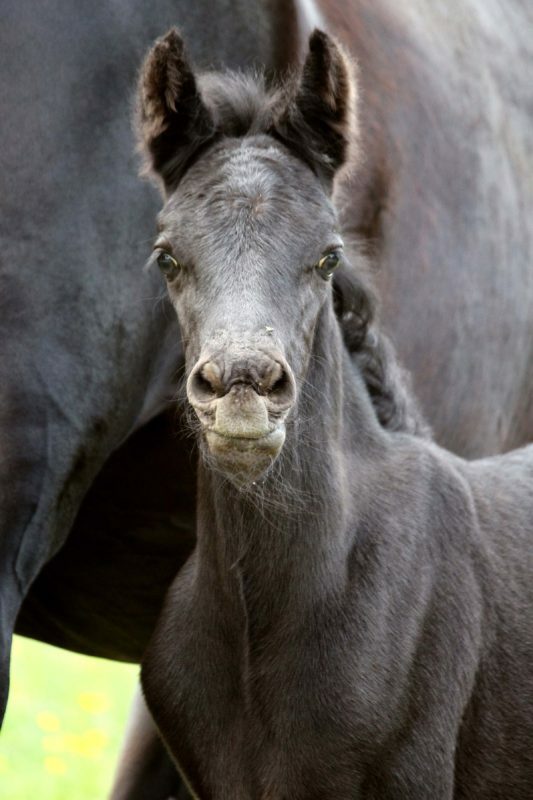 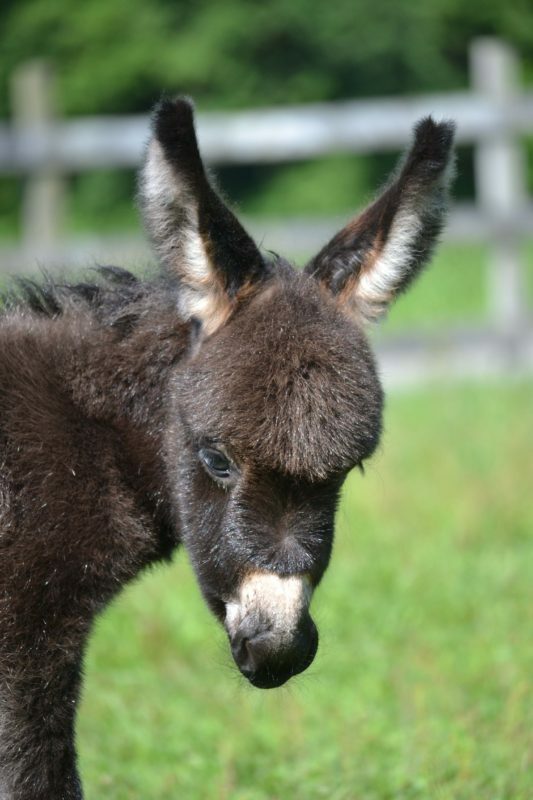 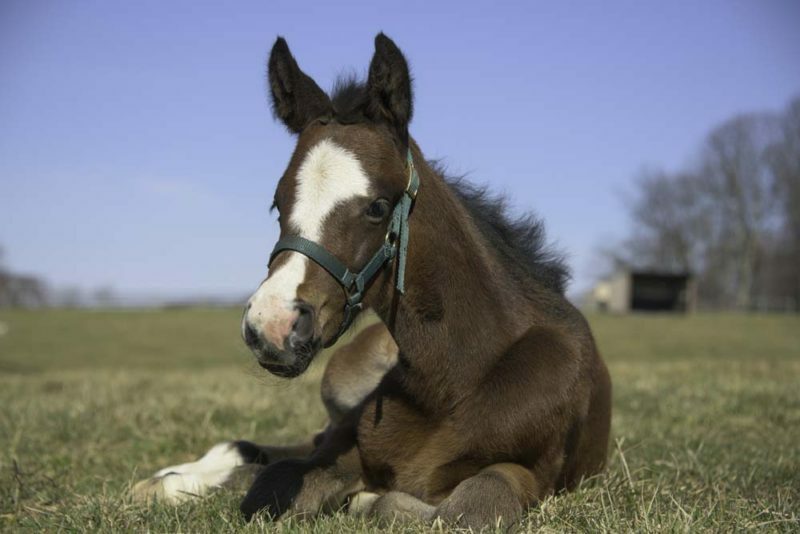 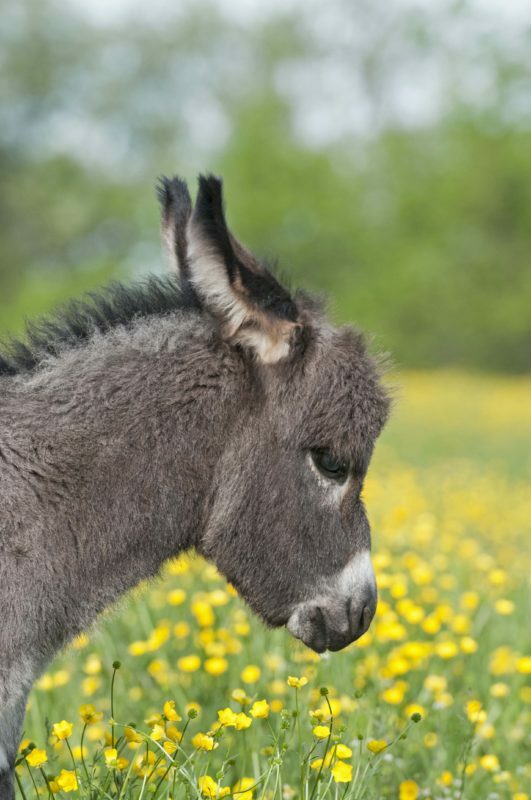 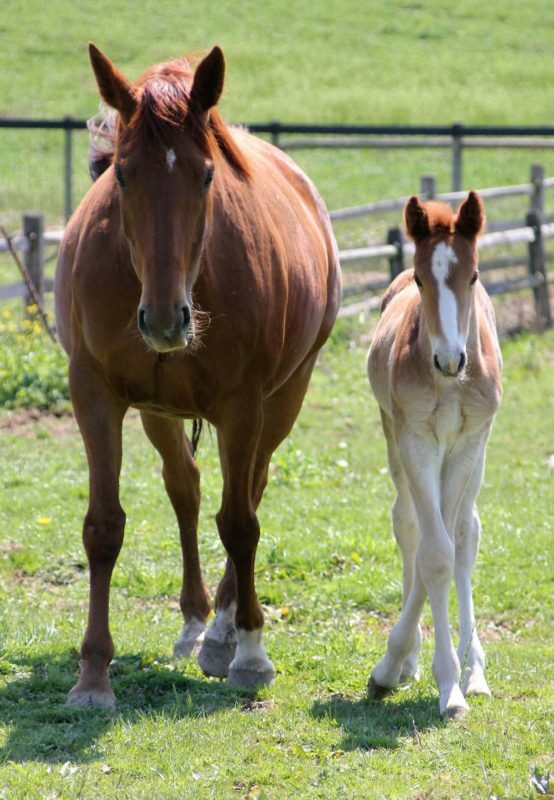 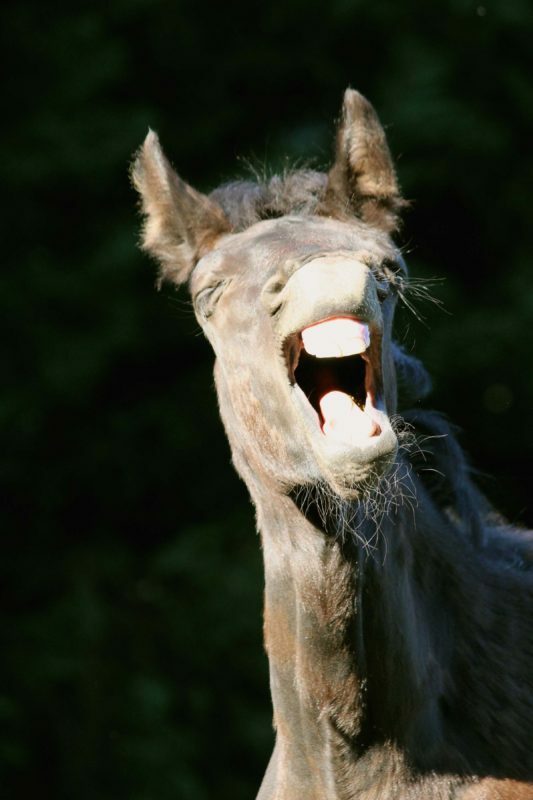 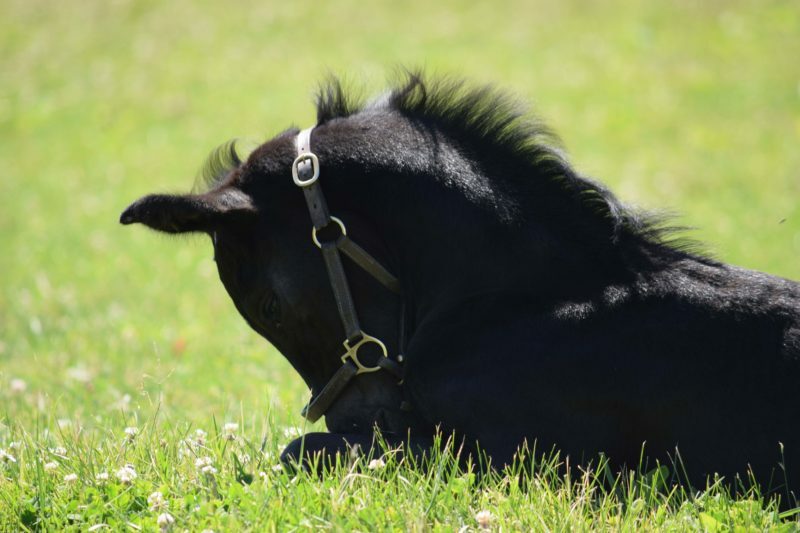 Enjoy all the entires from out 2016 Foal Photo Contest! 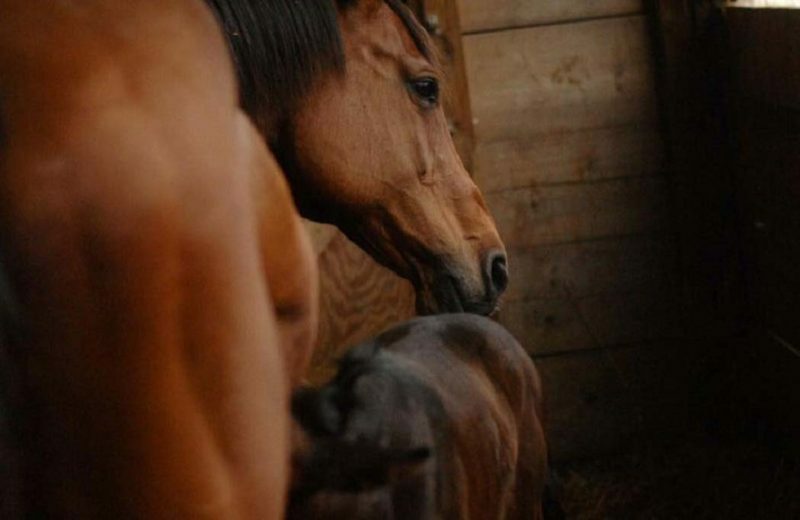 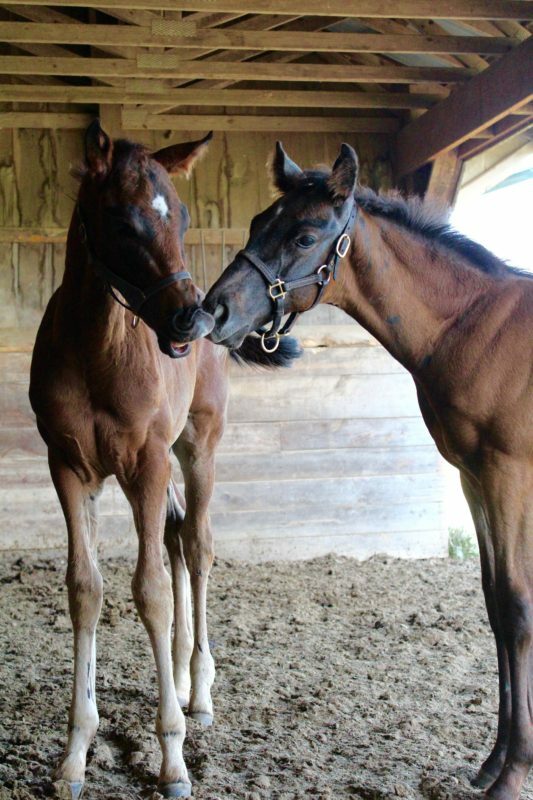 Reserve Champion • This photo of Penny with her dam Limelight Lover, also submitted by Sarah Cronin and taken by Bethany Pastorial, received the second most votes. 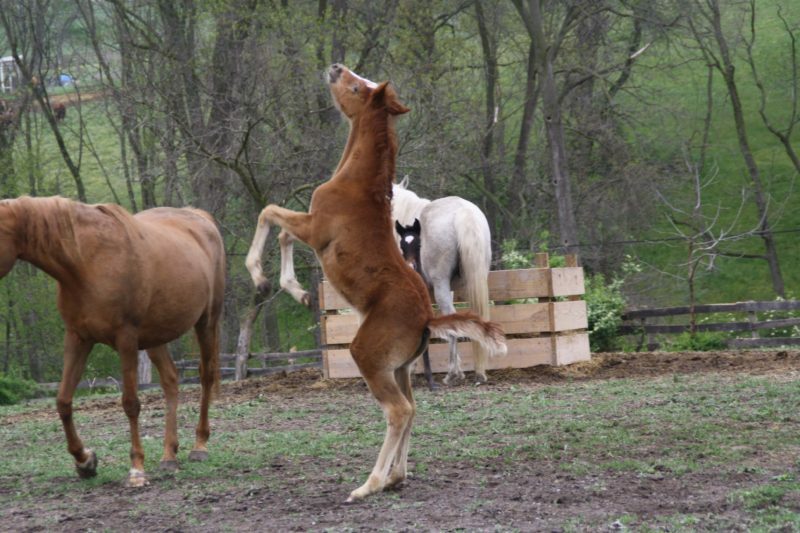 Copy editor Anne Moe said it looked like a painting and intern Leanna Bostrom loved the perfectly balanced composition. 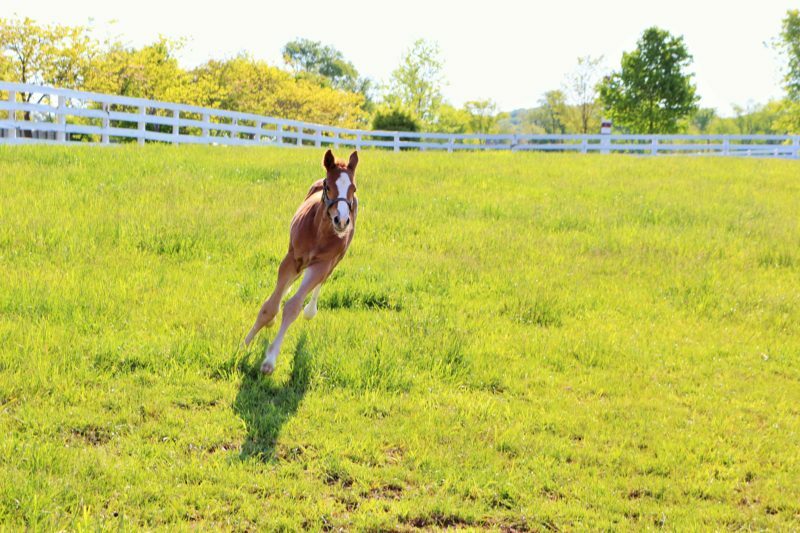 Those who voted against it felt, however, that it was too similar to the photo that won in 2015, plus they liked the action of the running shot better. 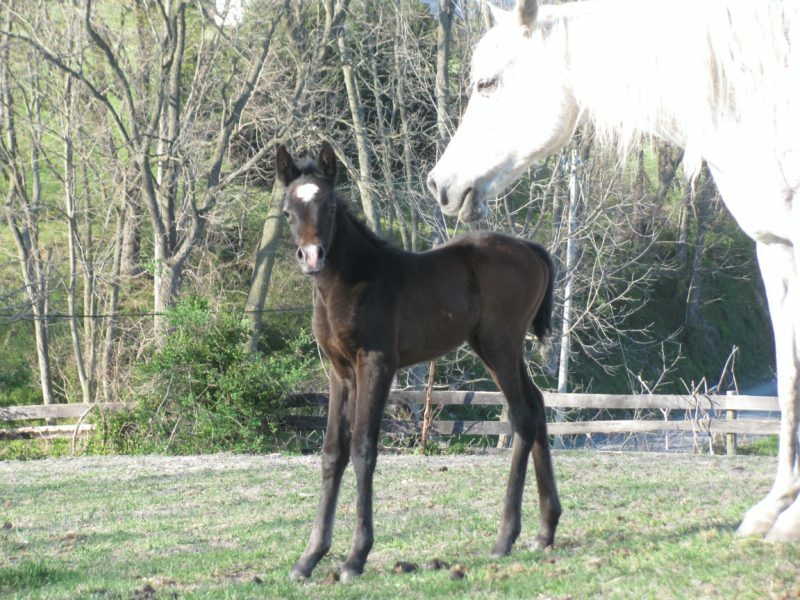 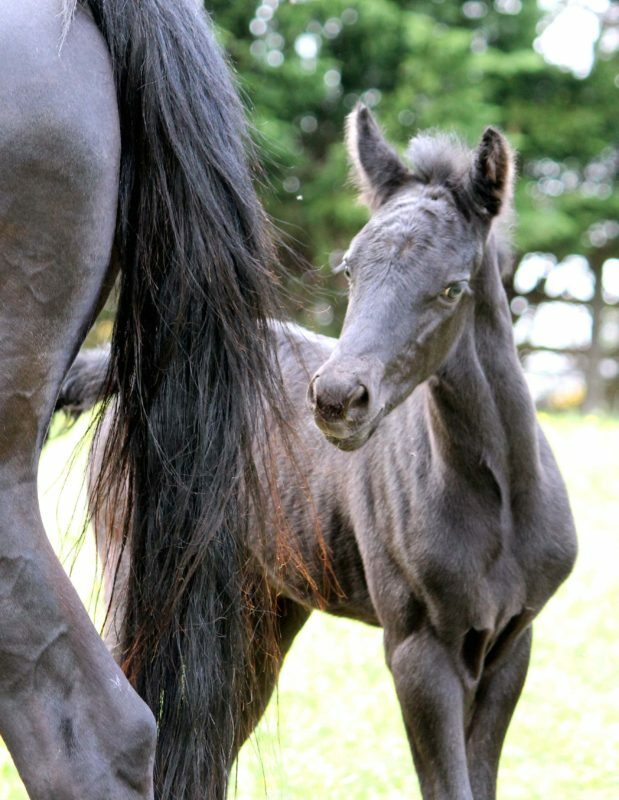 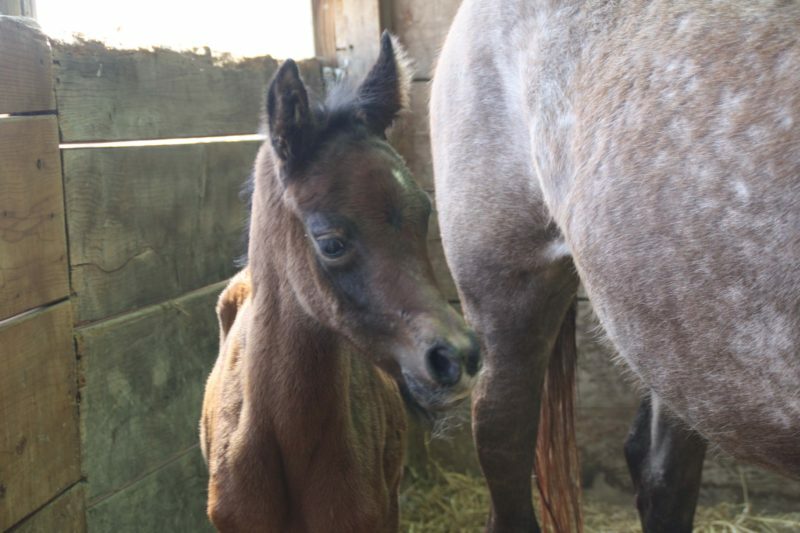 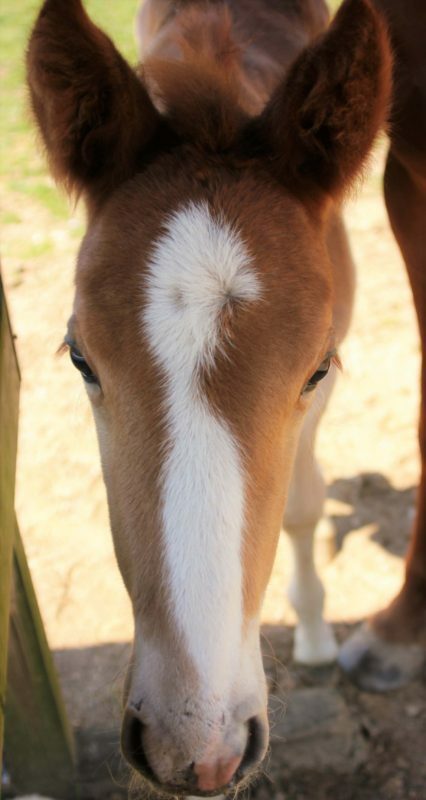 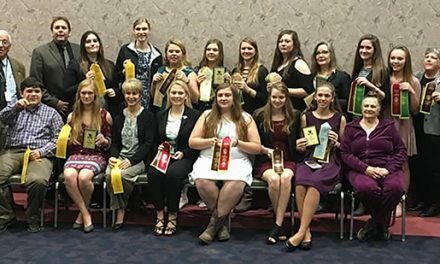 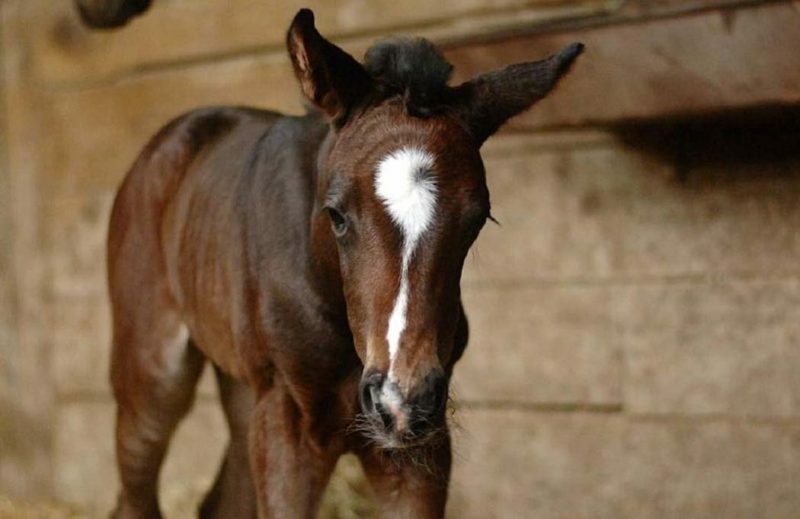 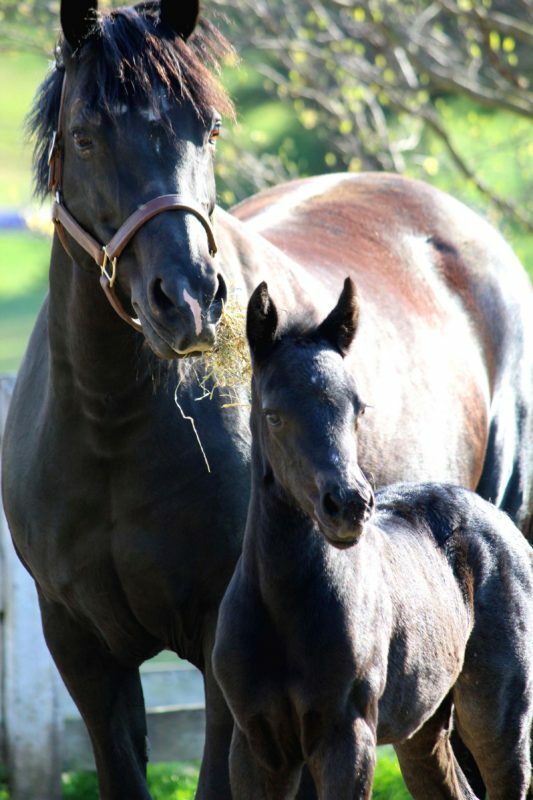 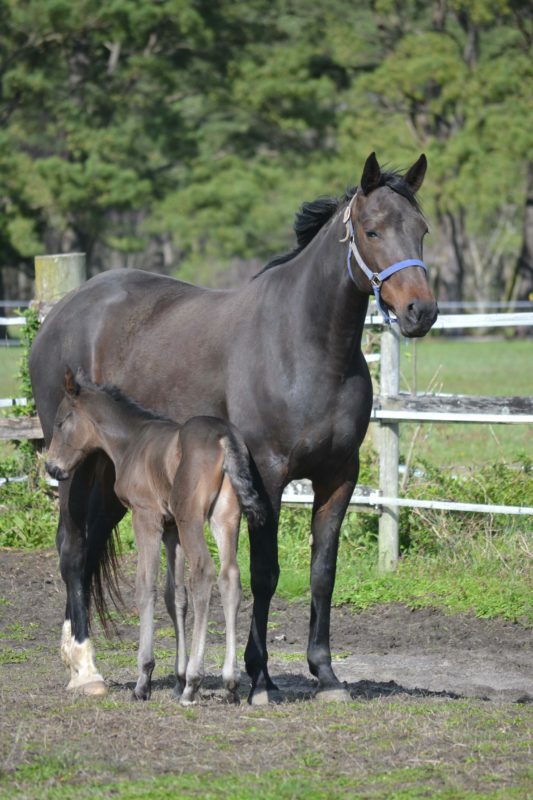 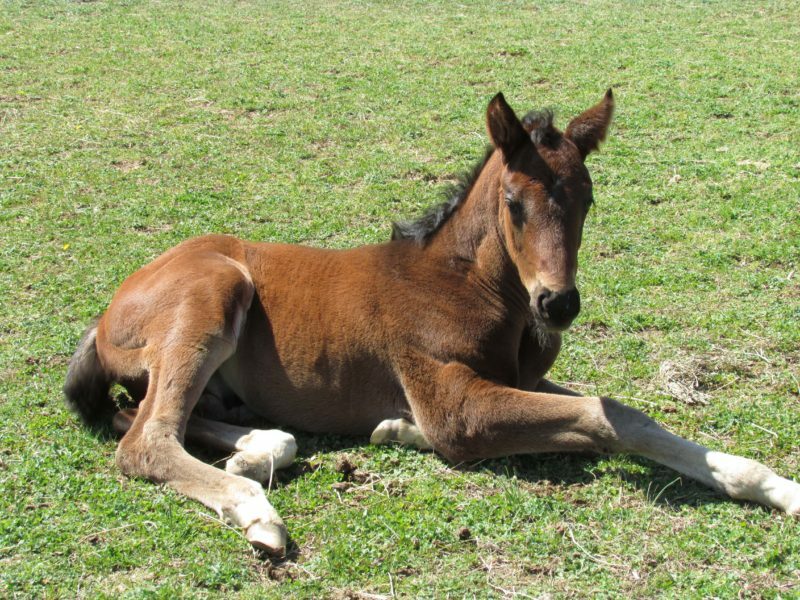 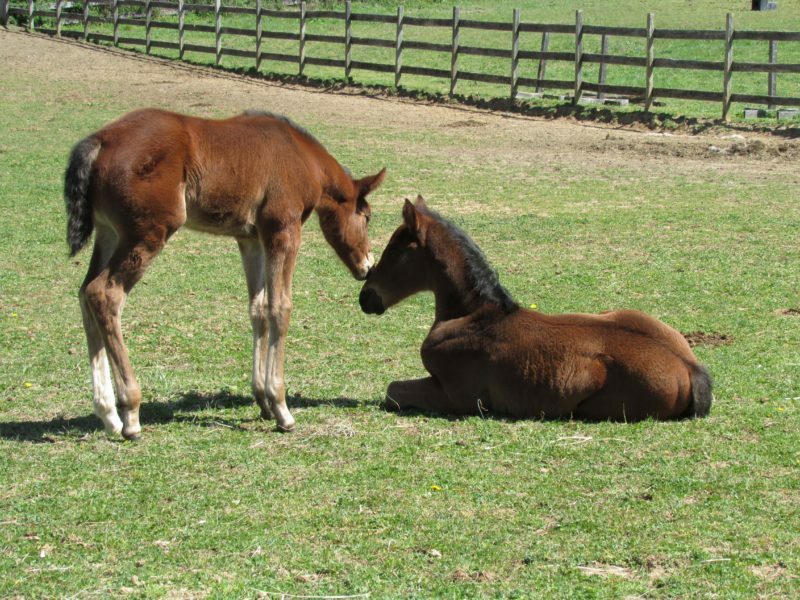 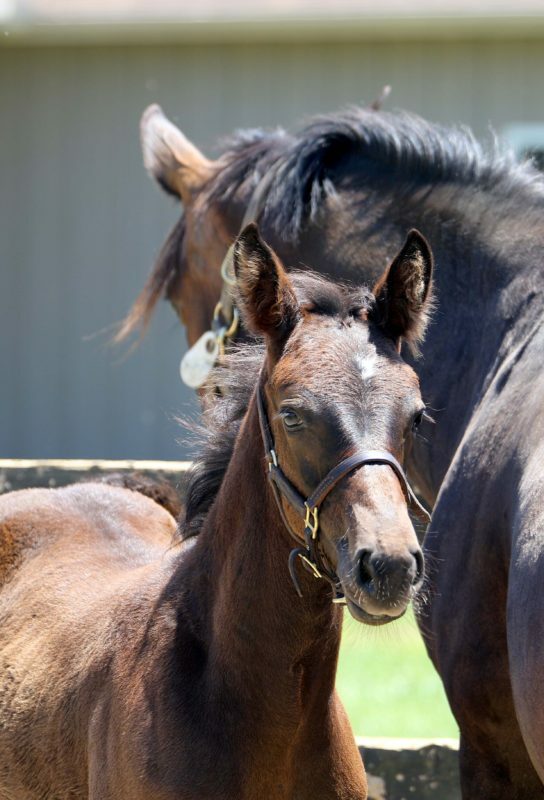 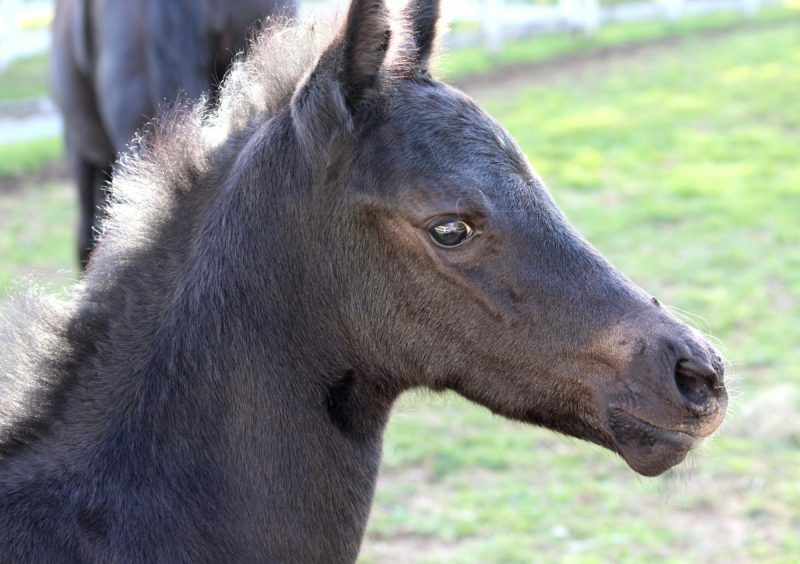 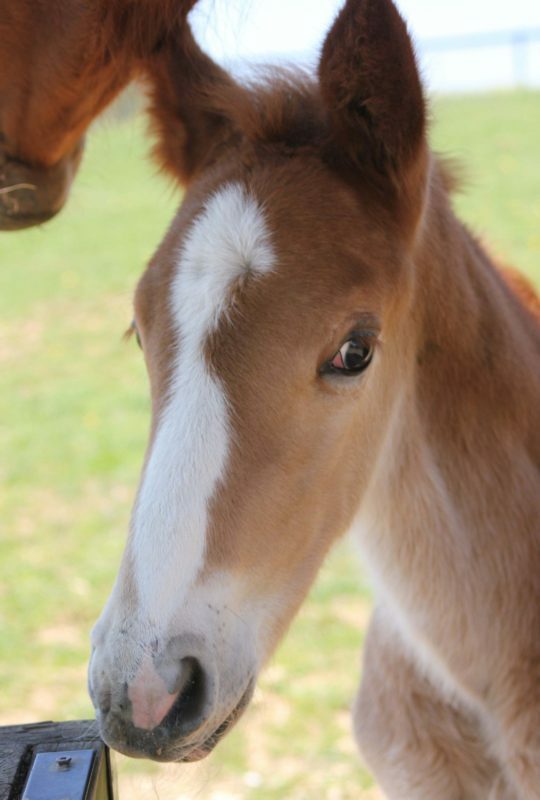 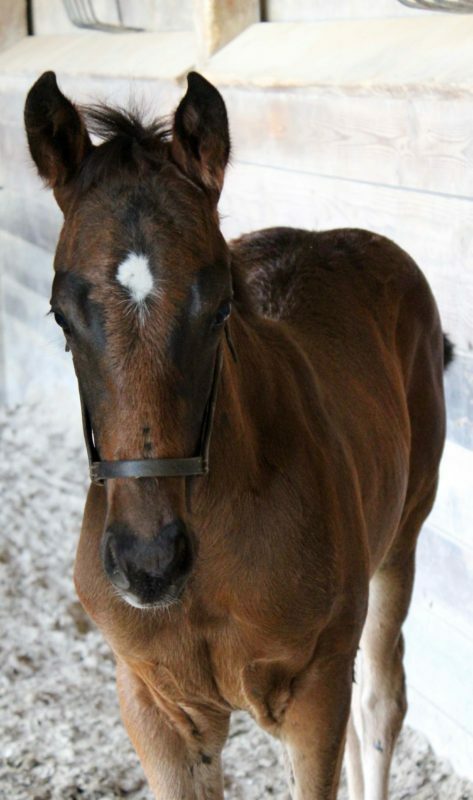 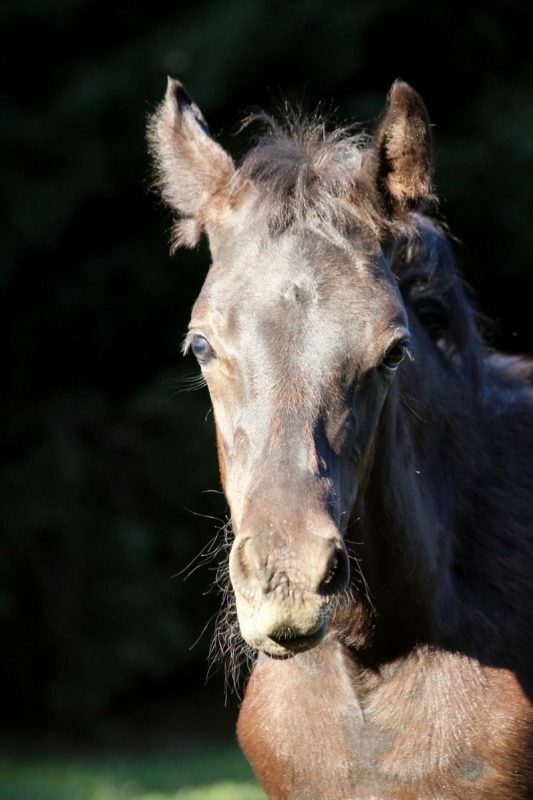 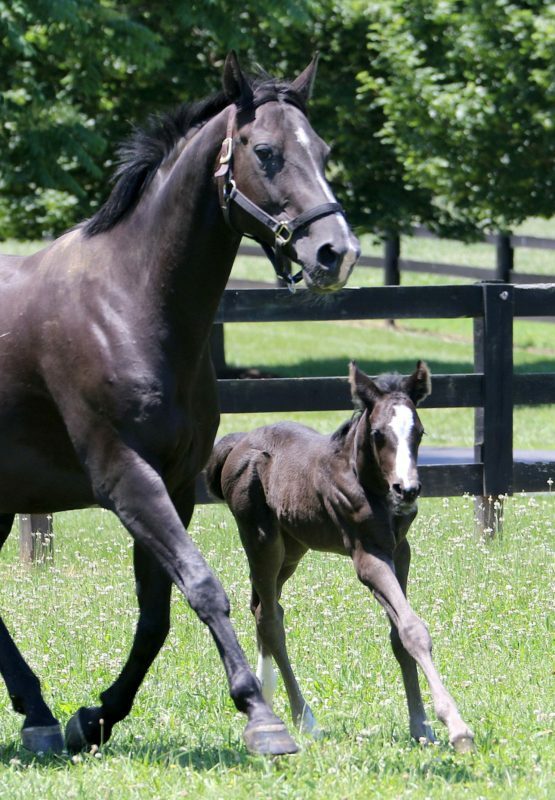 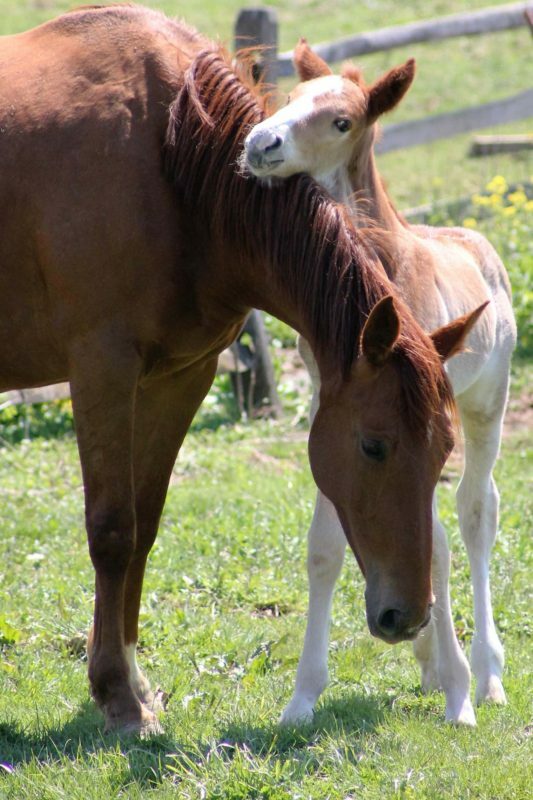 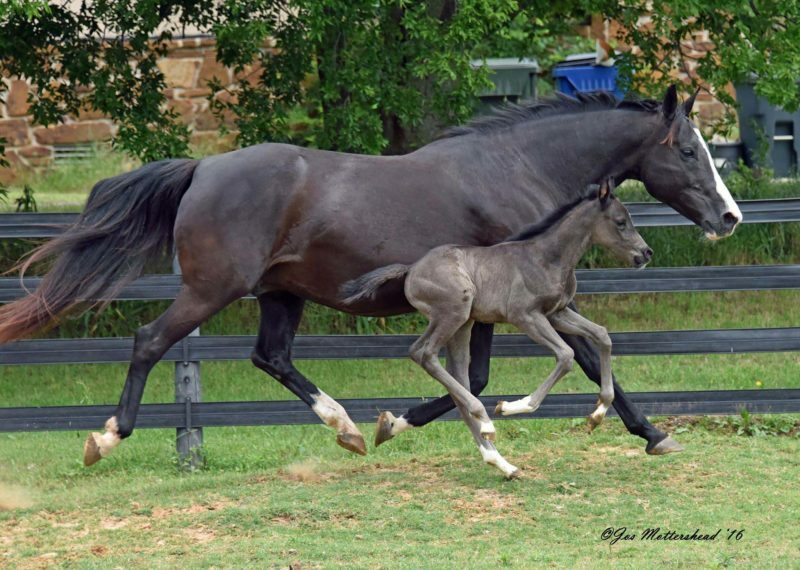 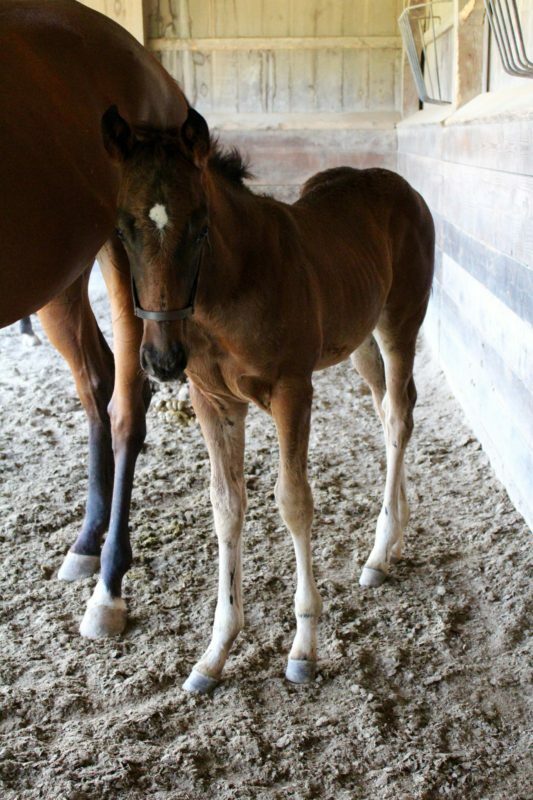 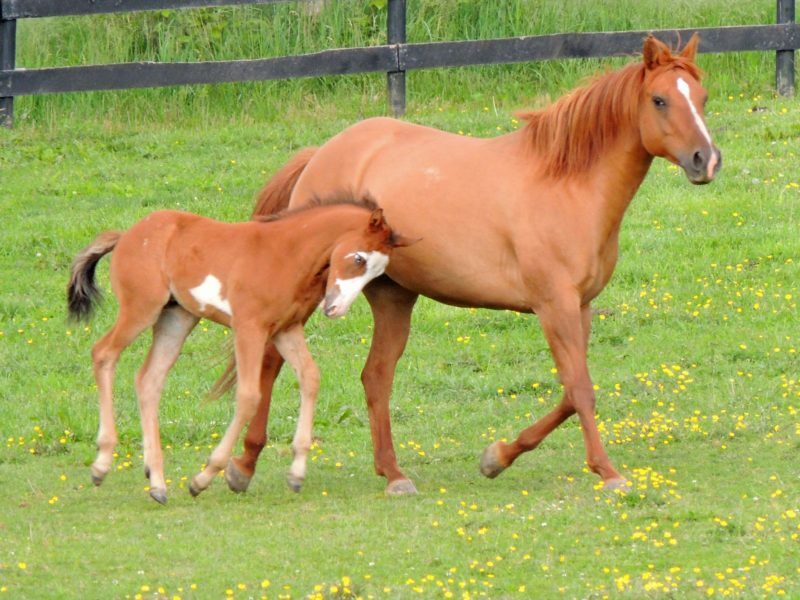 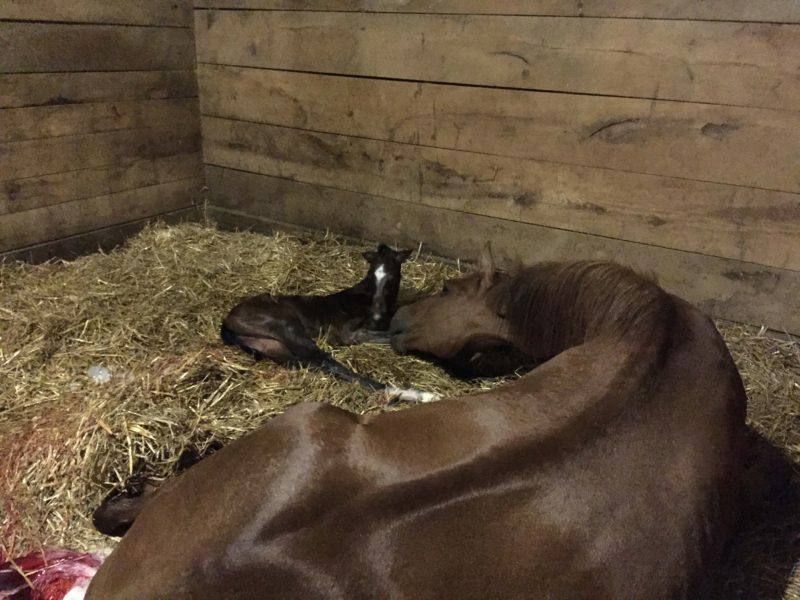 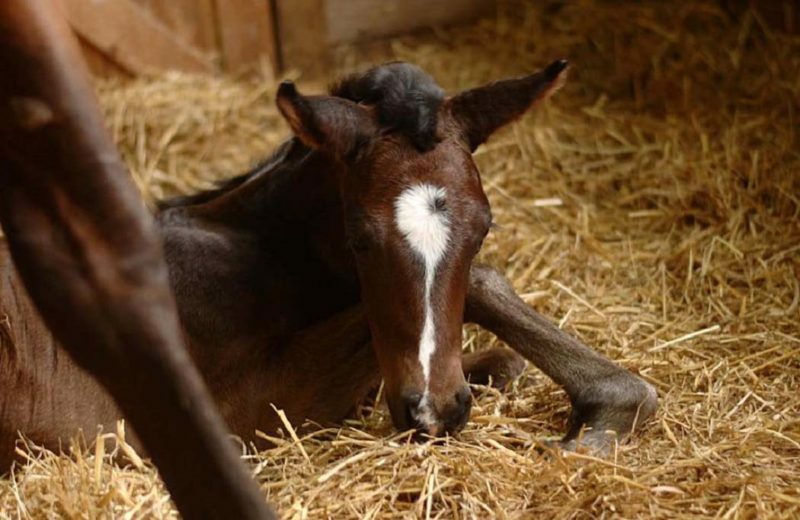 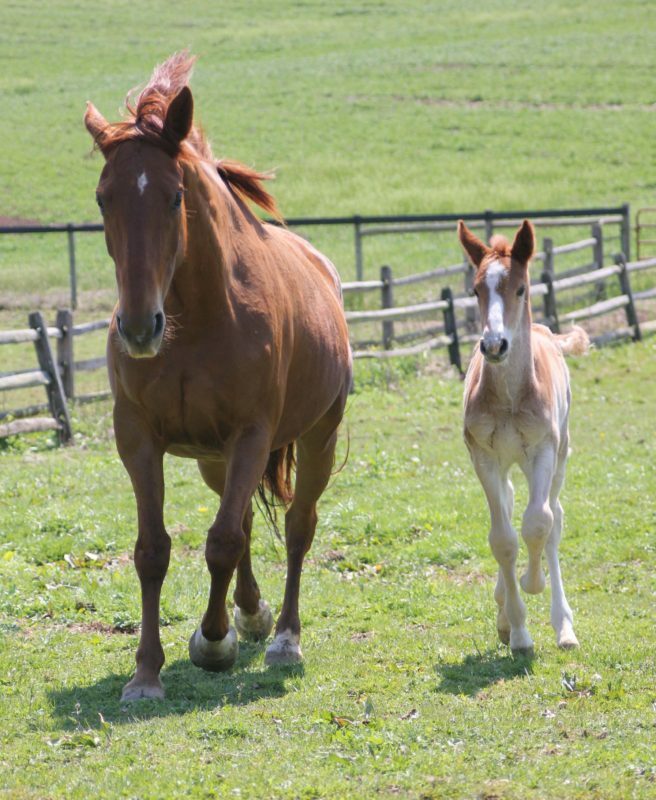 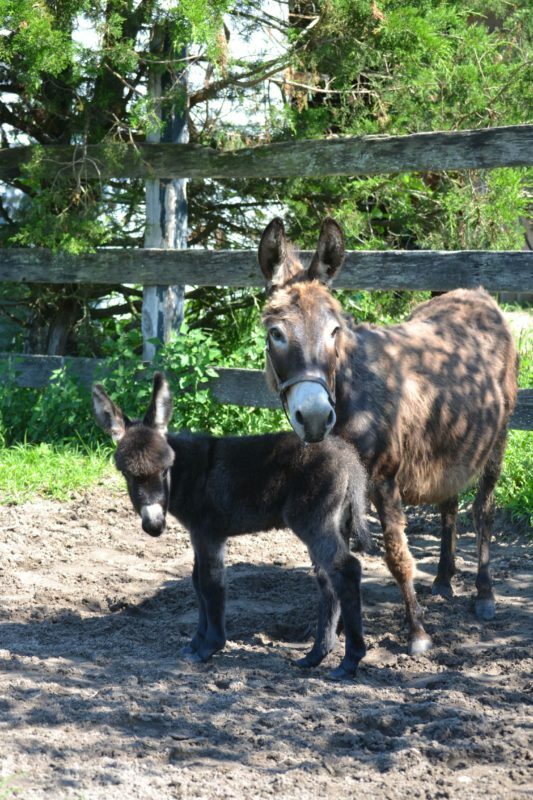 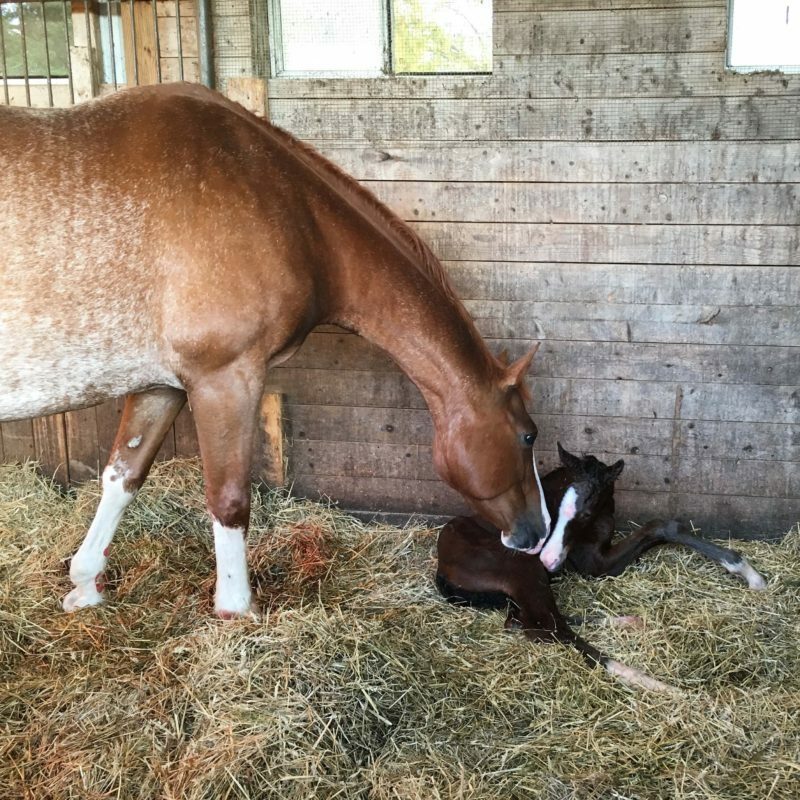 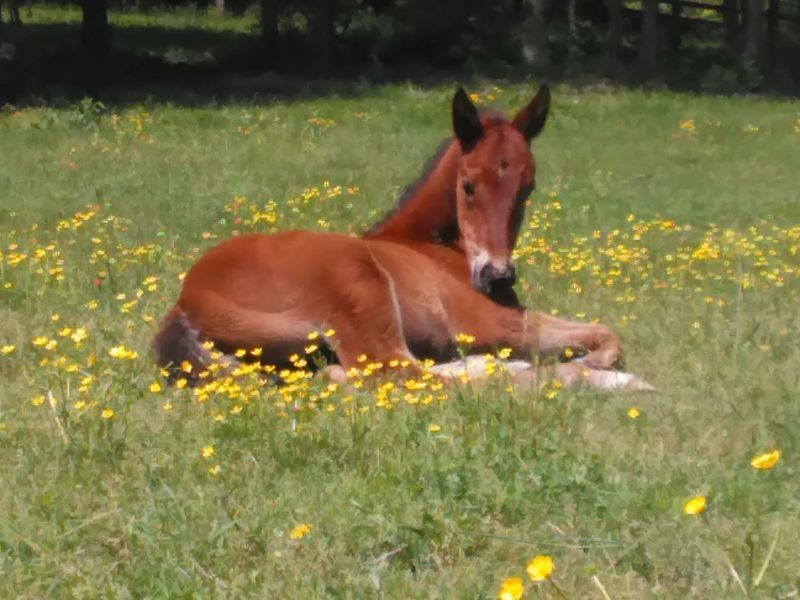 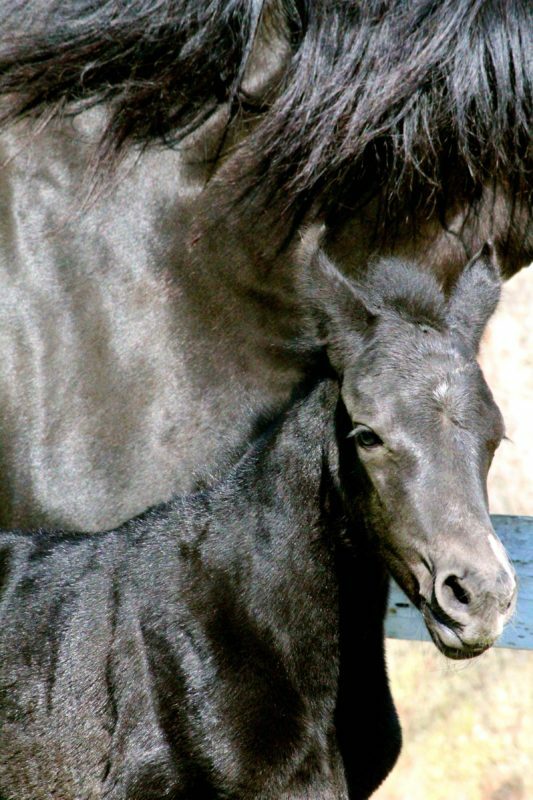 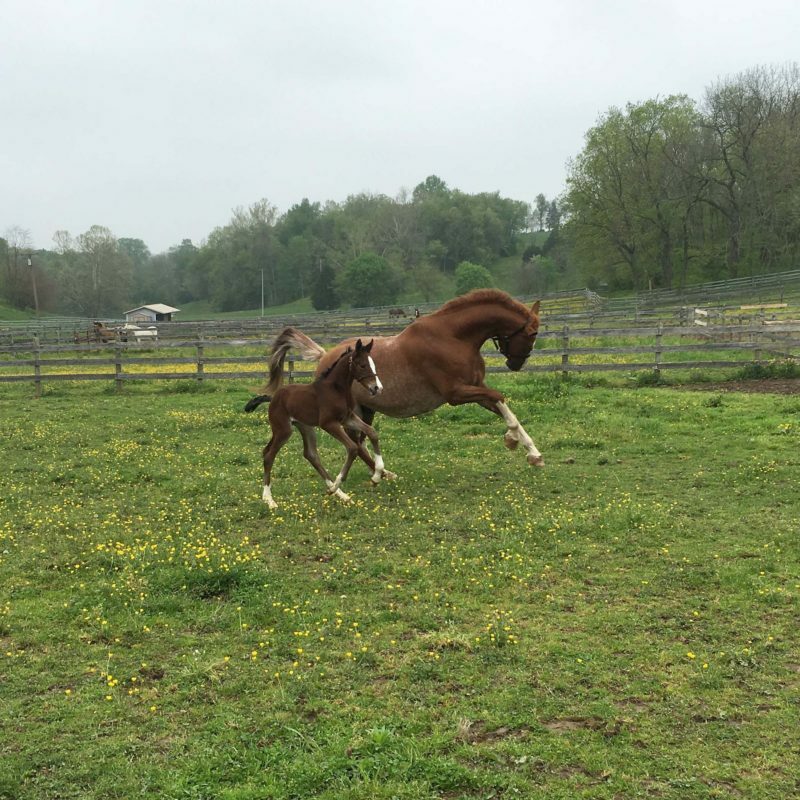 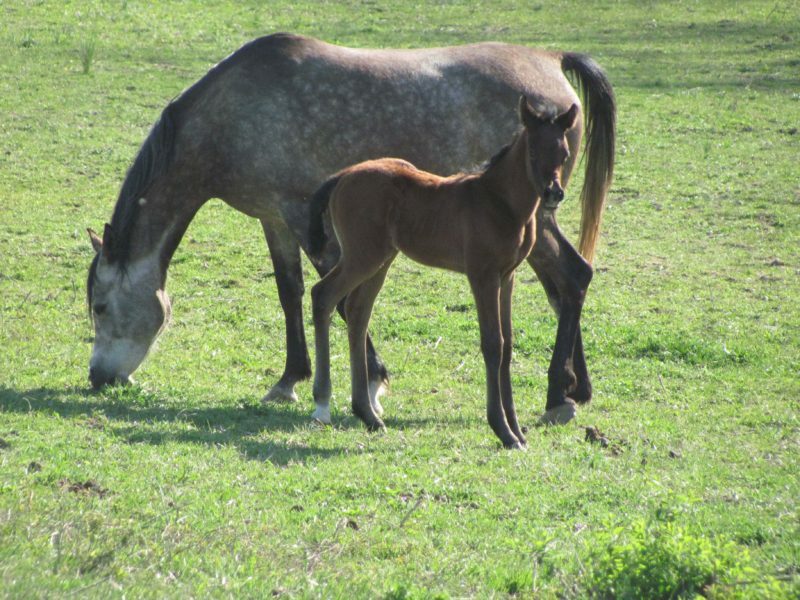 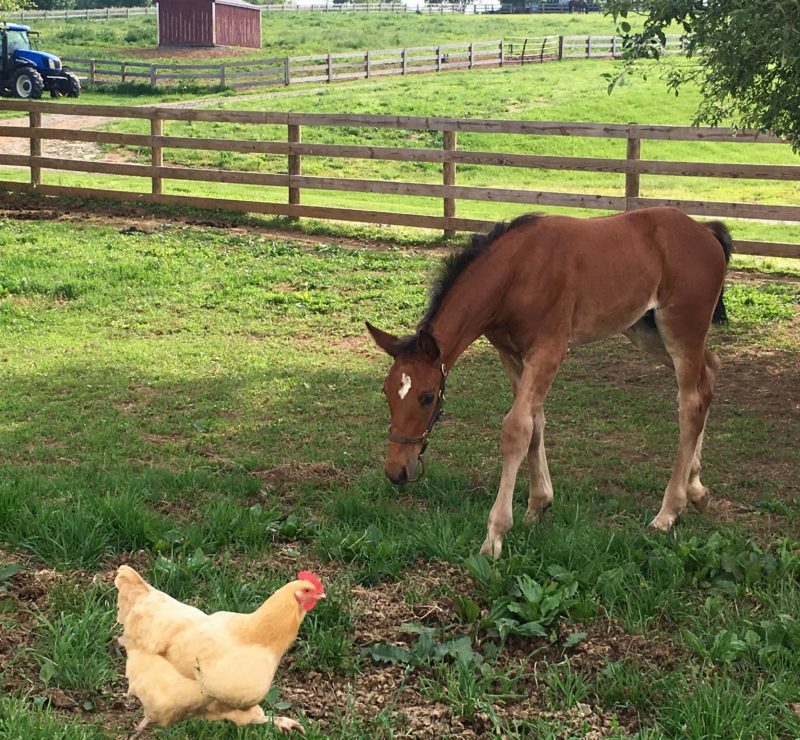 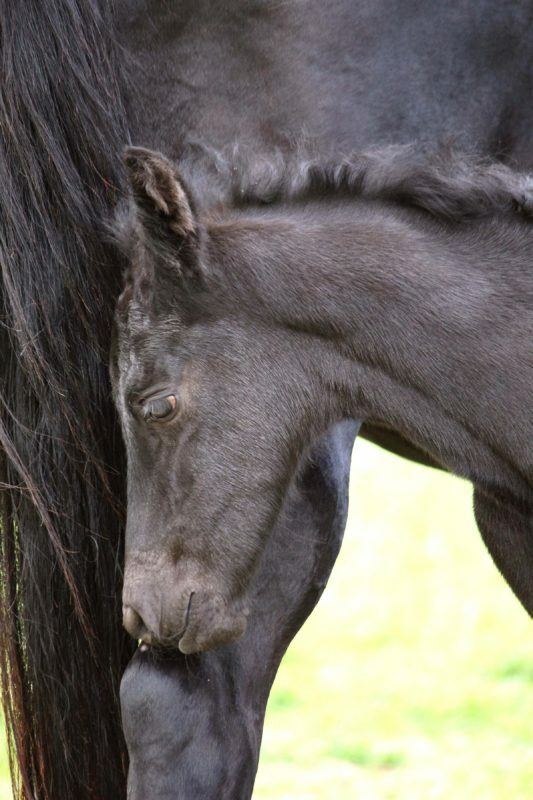 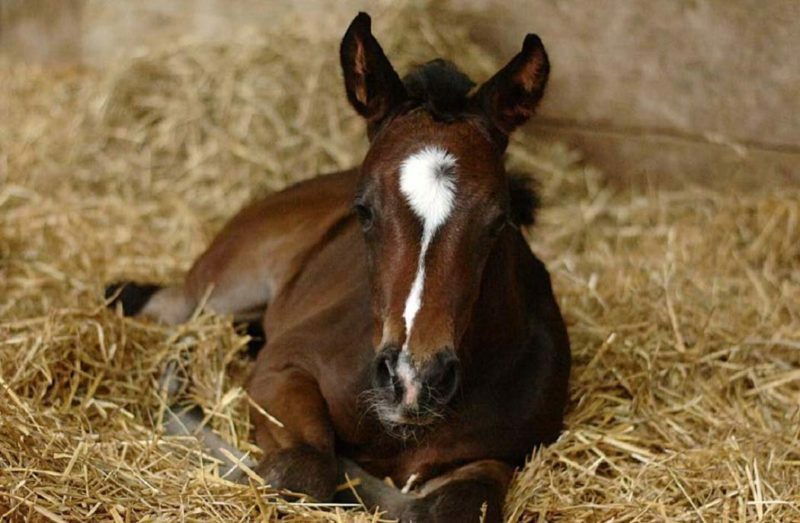 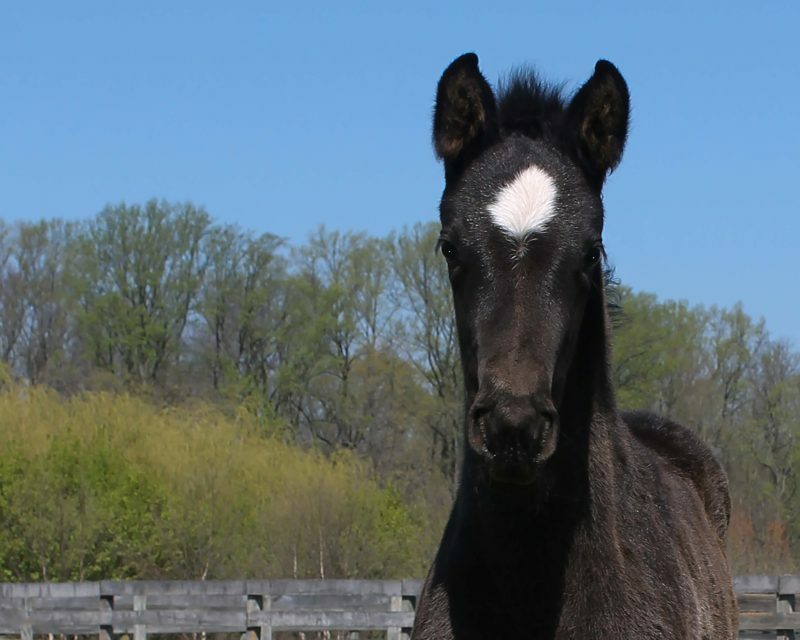 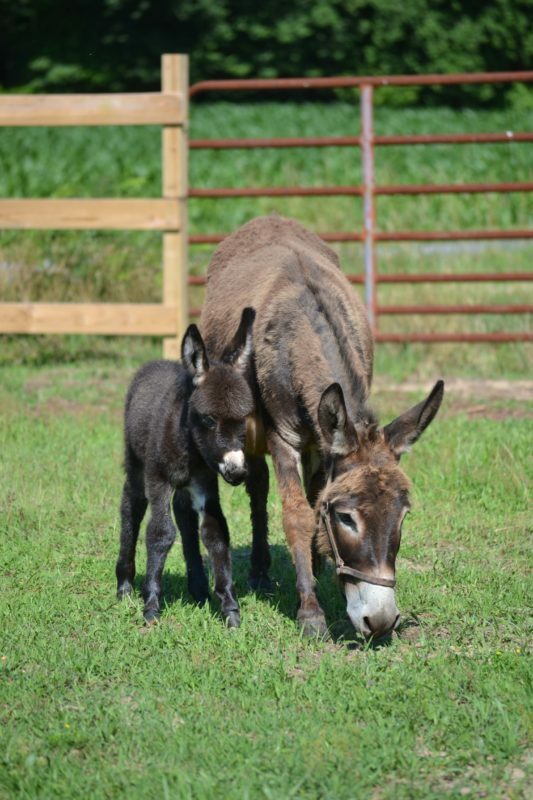 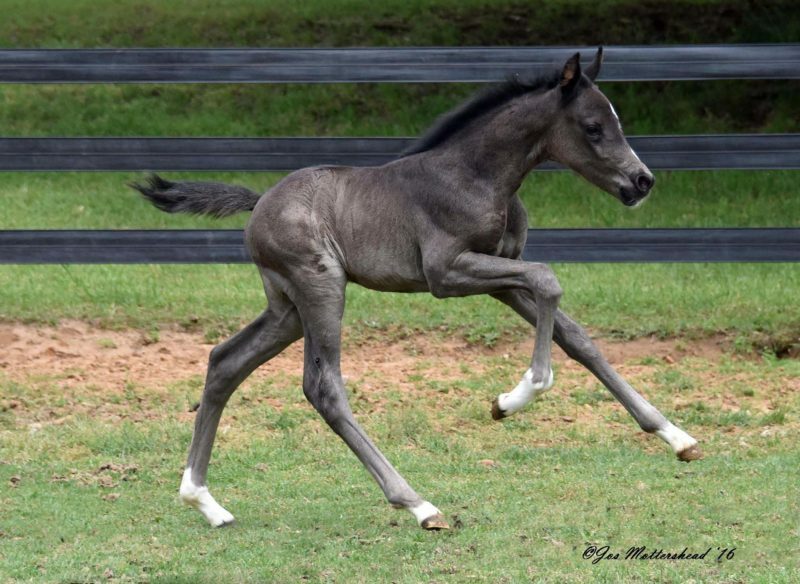 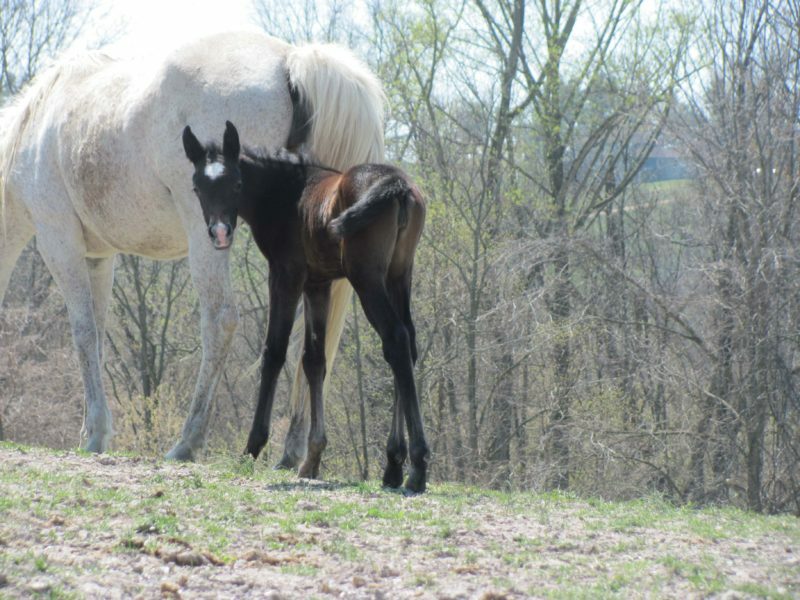 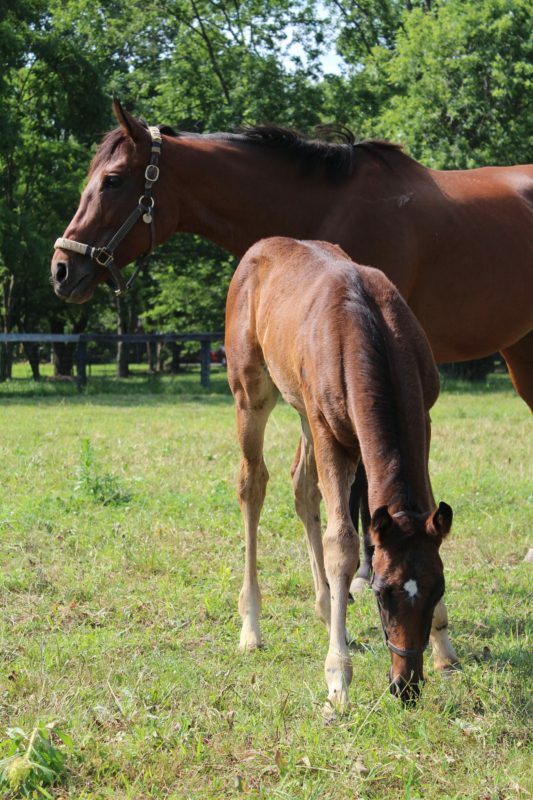 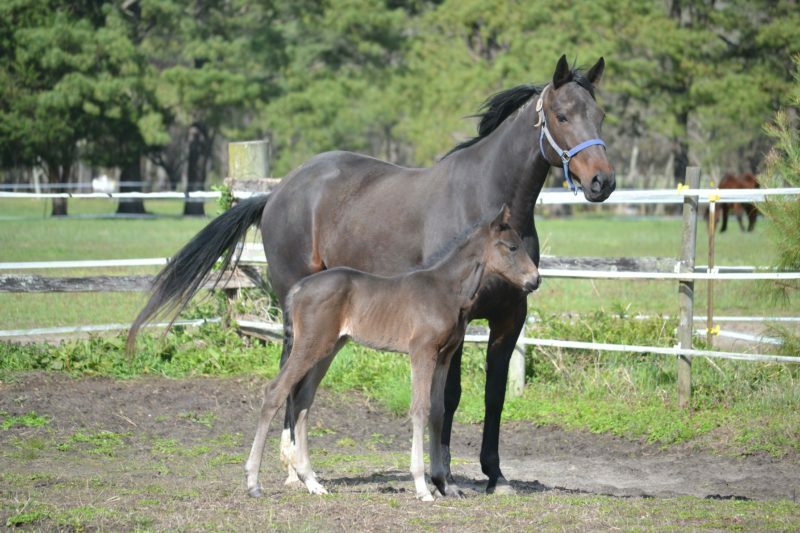 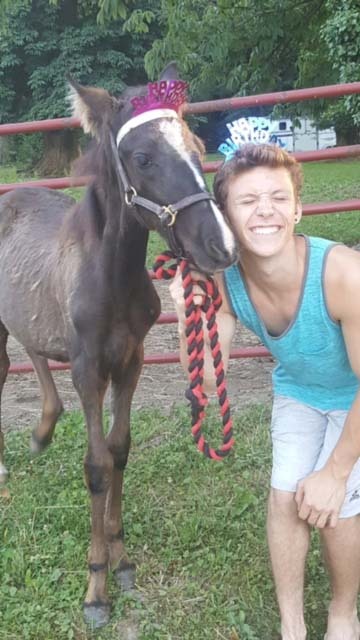 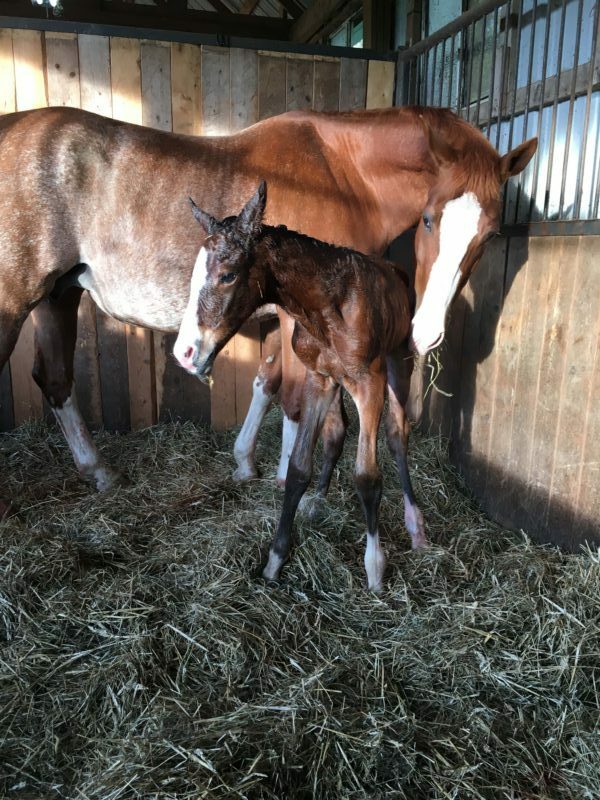 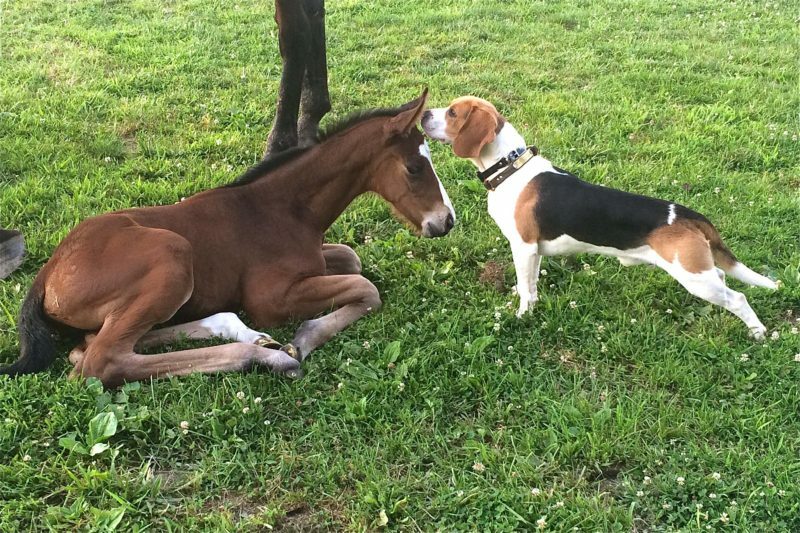 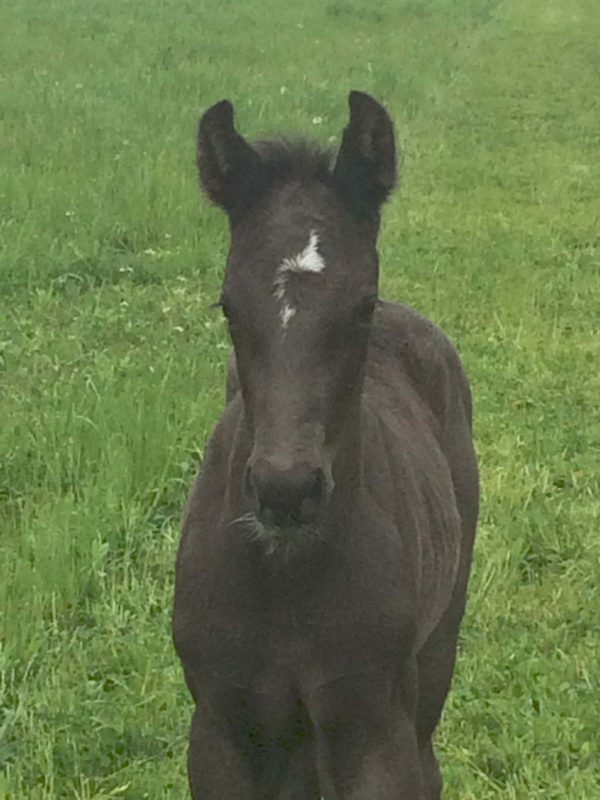 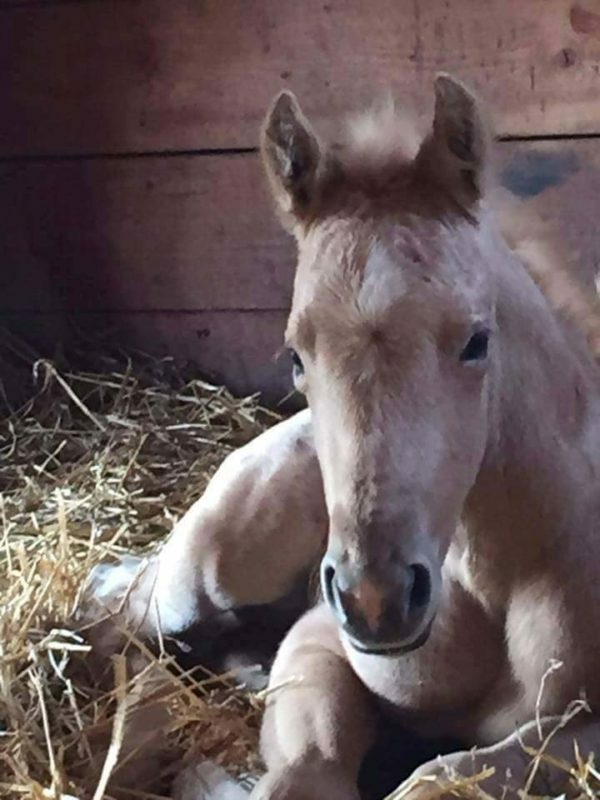 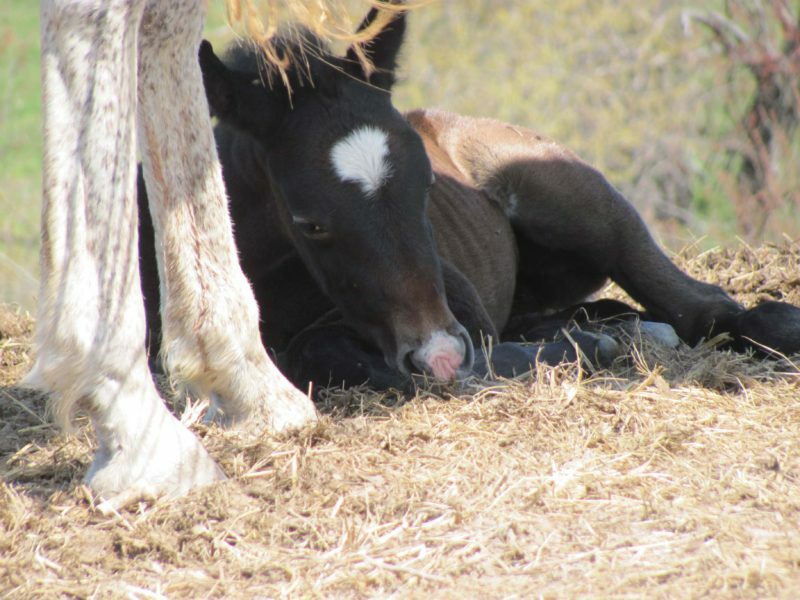 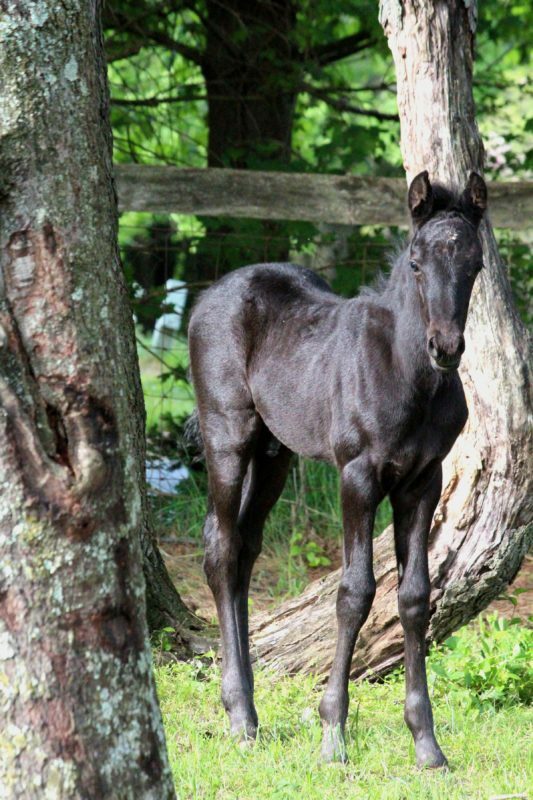 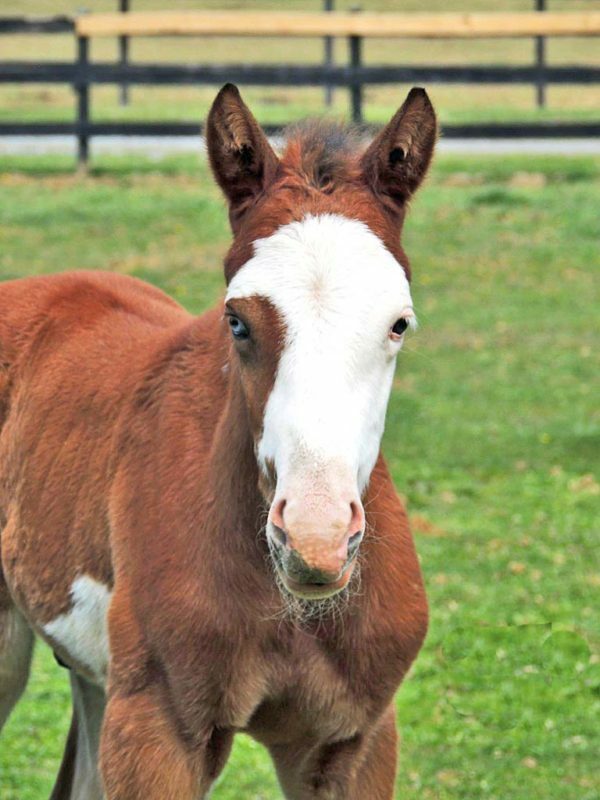 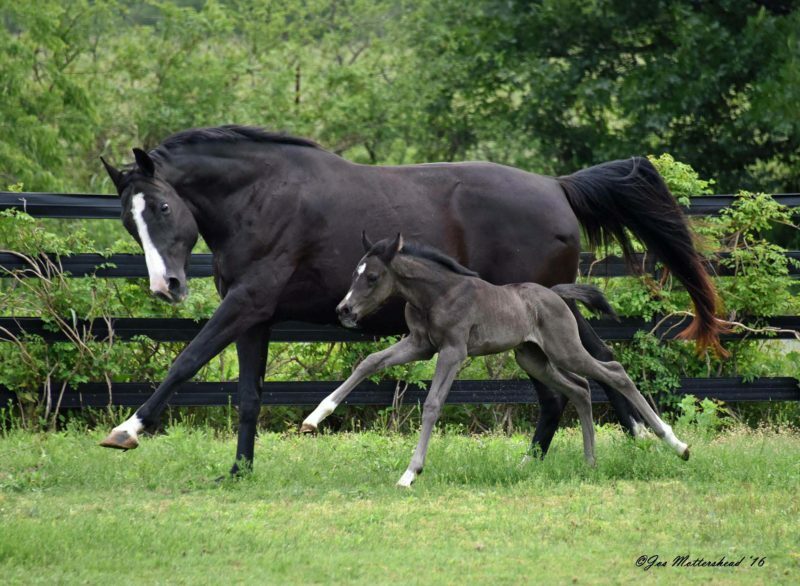 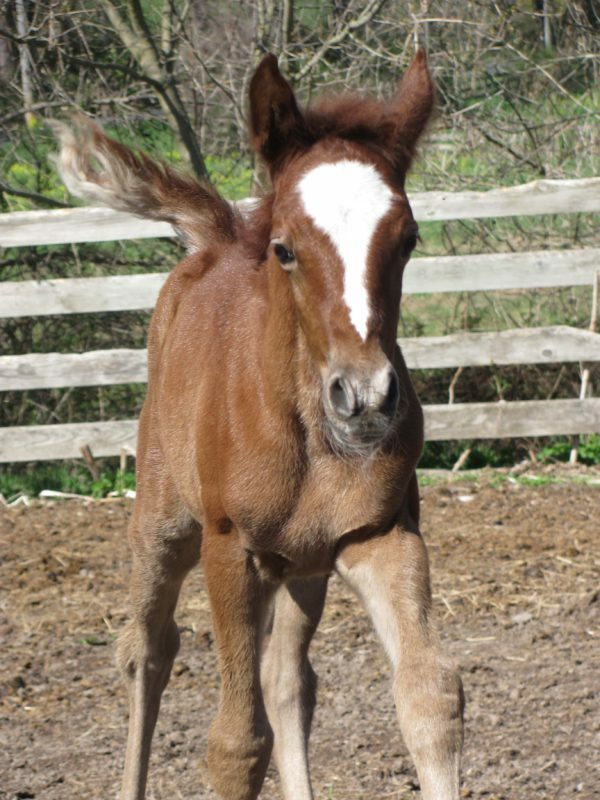 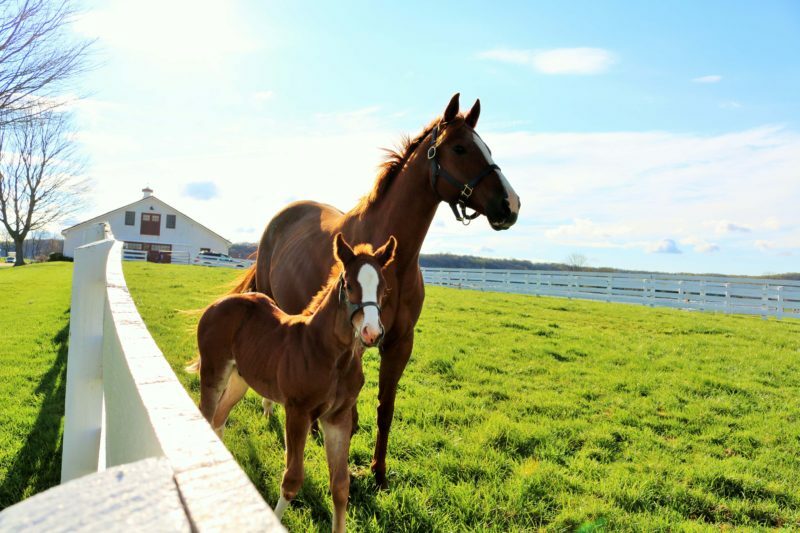 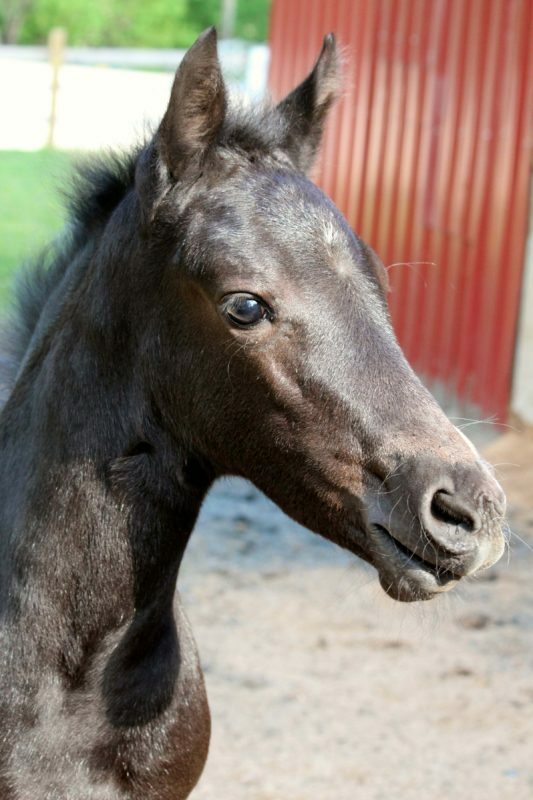 2016 Grand Champion • When Sarah Cronin of HFEC, LLC in Bel Air sent us her 2016 foal photo submissions we knew that both photos she submitted could be possible cover winners. 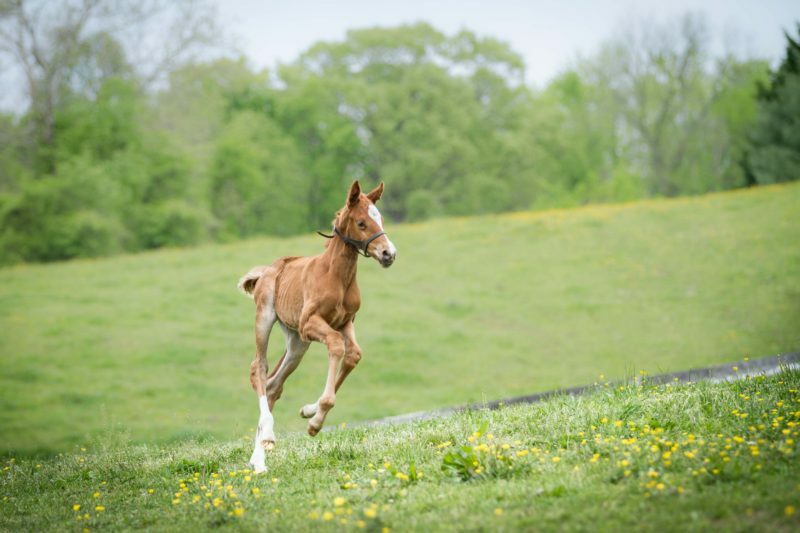 The photos, taken by Bethany Pastorial, were just lovely in terms of clarity, composition and color. 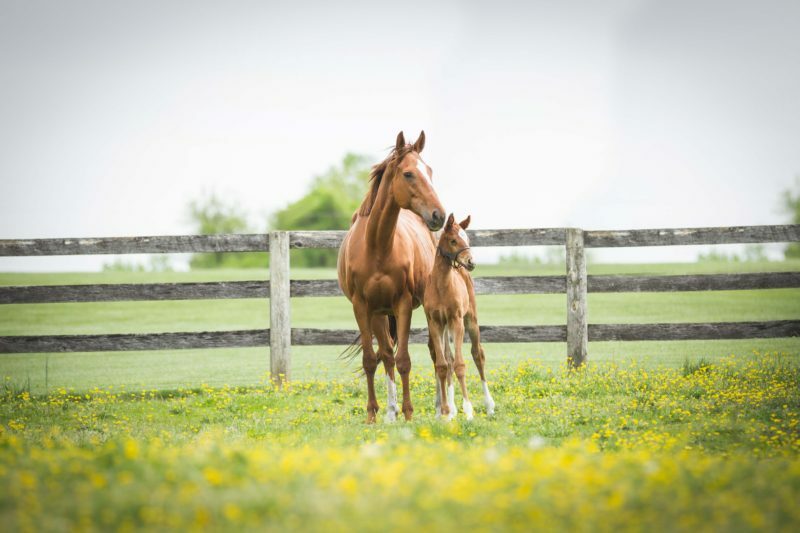 The action captured was what made this specific photo of Penny, a Thoroughbred filly by Freedom Child out of Limelight Lover (by Limehouse), our winner. 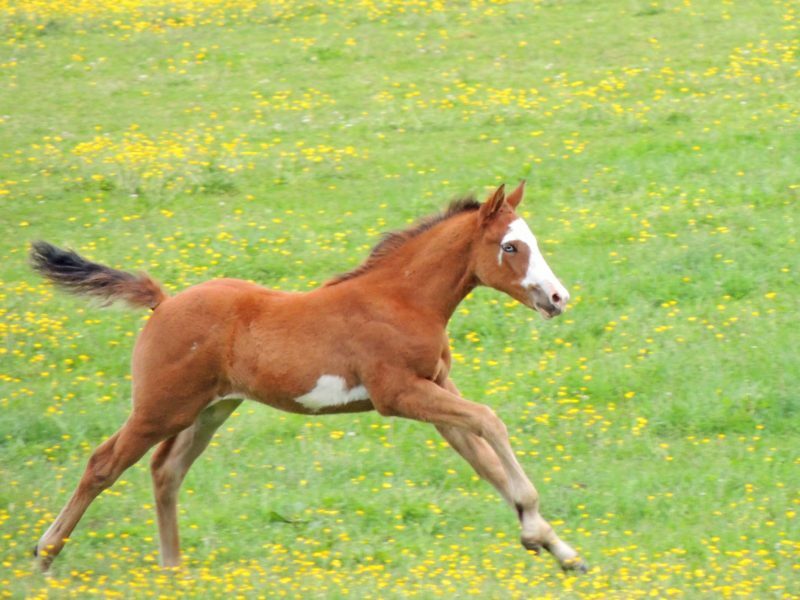 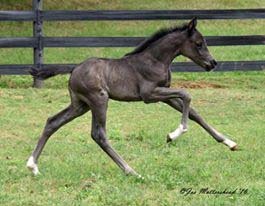 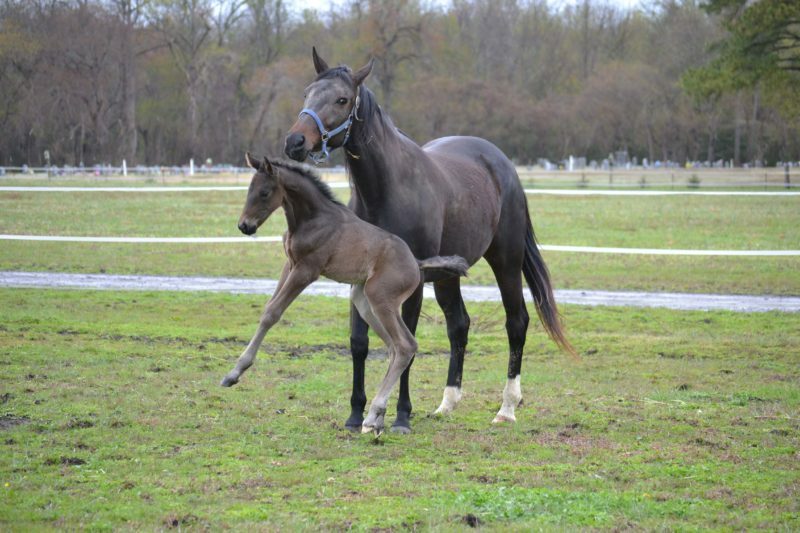 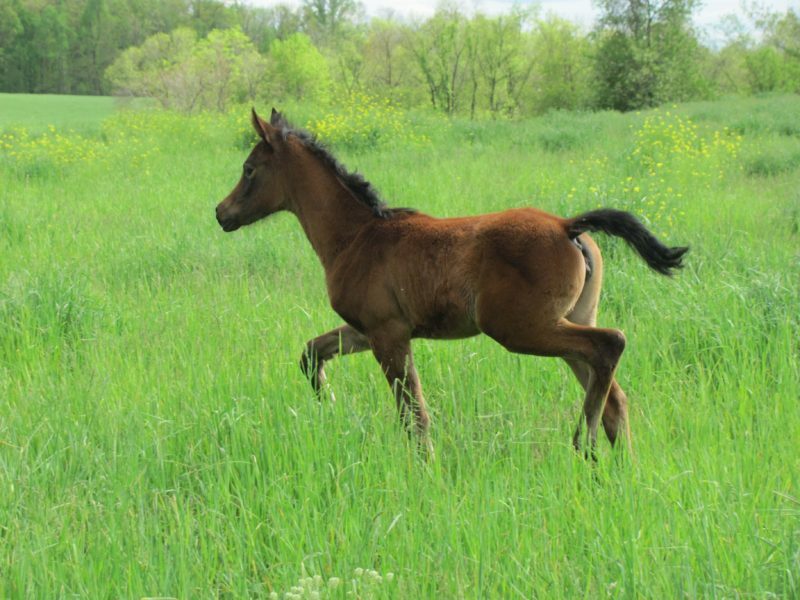 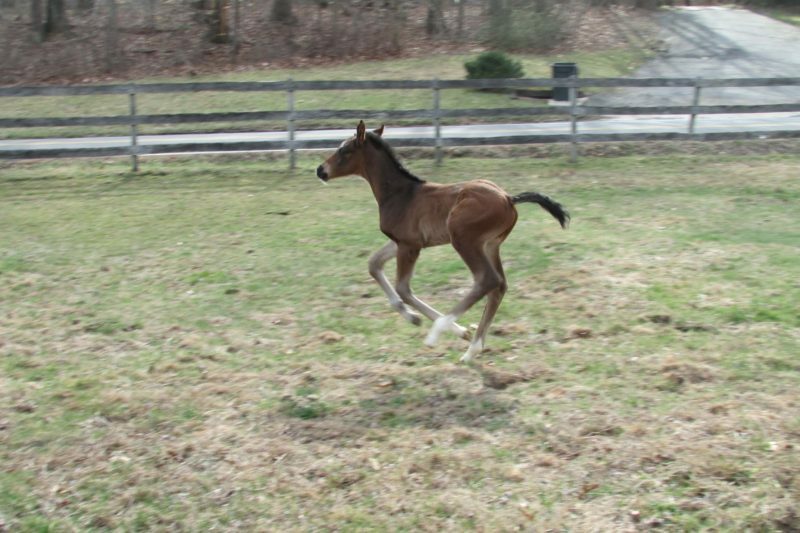 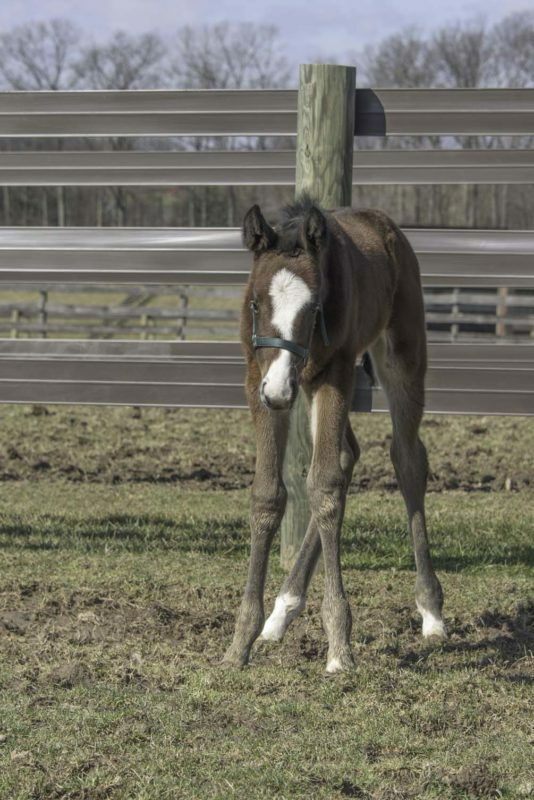 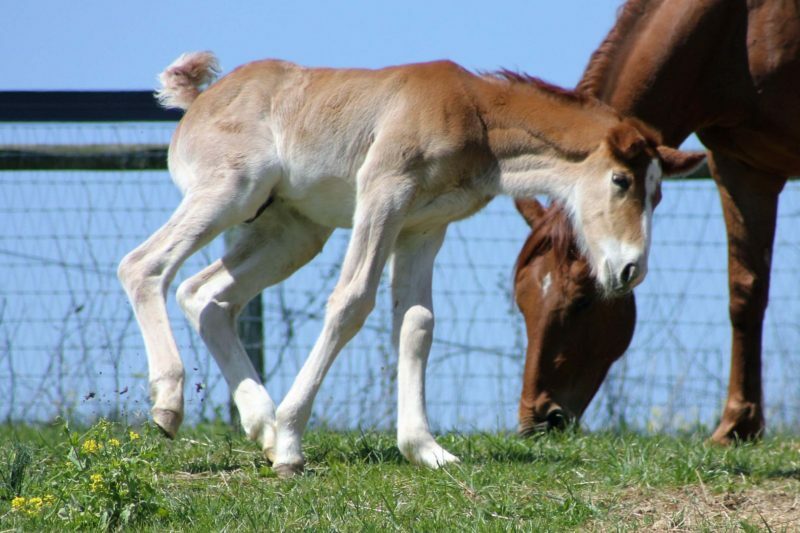 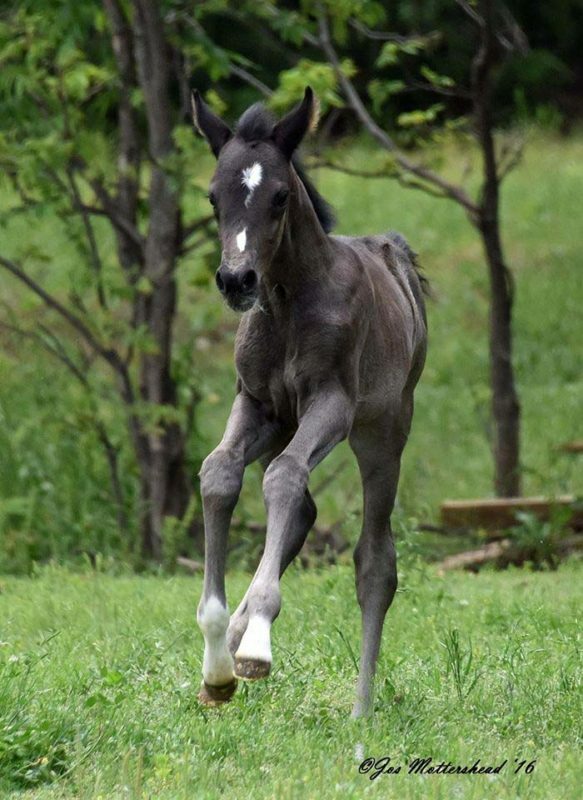 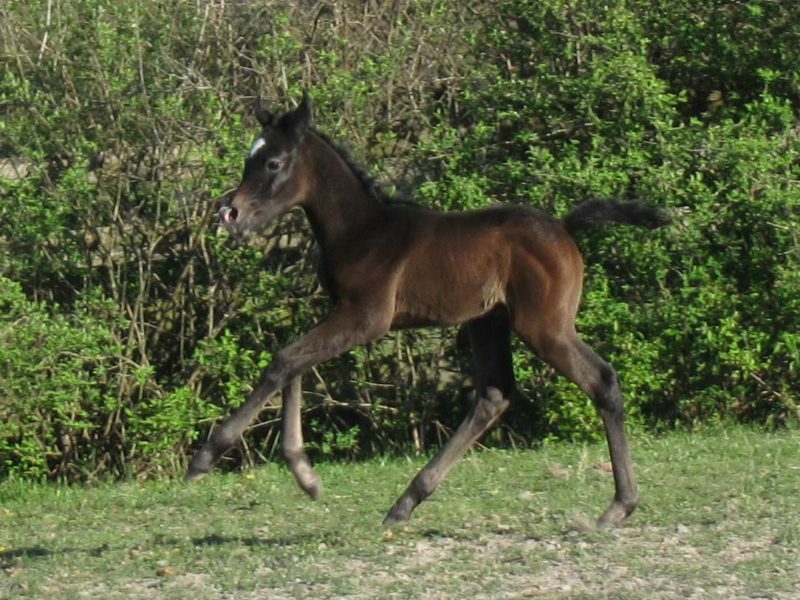 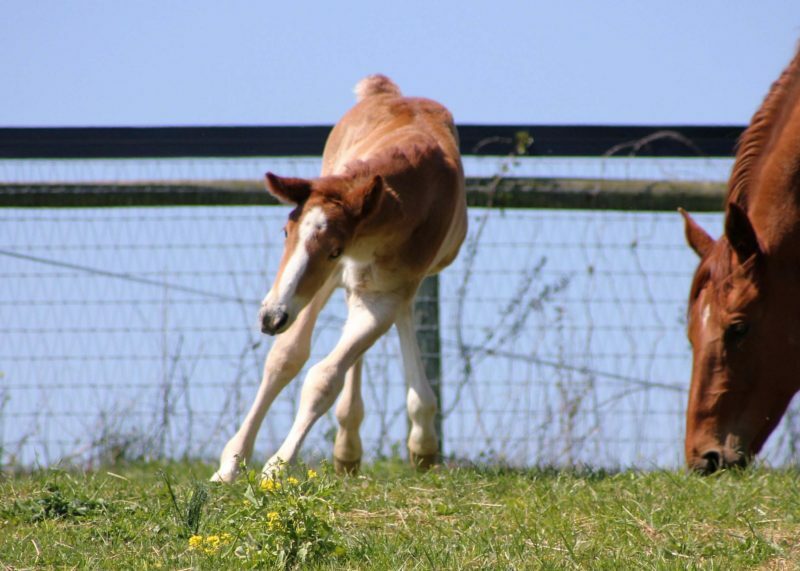 It is not just the fact that the foal is running, it is the keenness in her eyes, the alertness of her ears, her long legs clearly built for running. 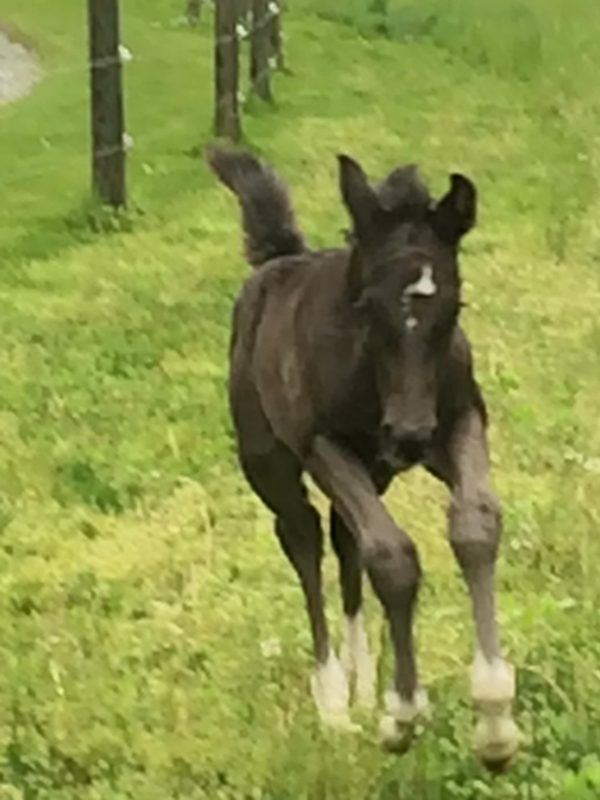 Not to mention the fact that the foal is running across the page in a way that works perfectly for our cover, leaving plenty of room for masthead, teasers and other text. 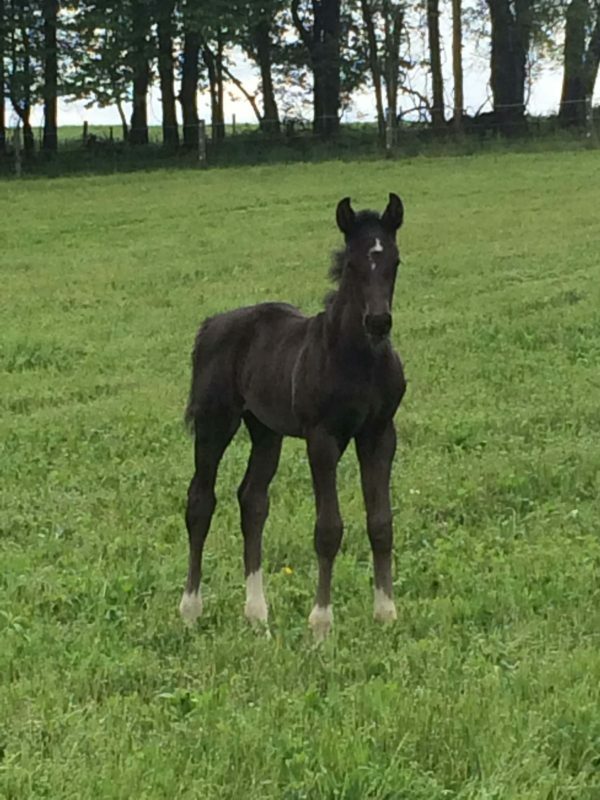 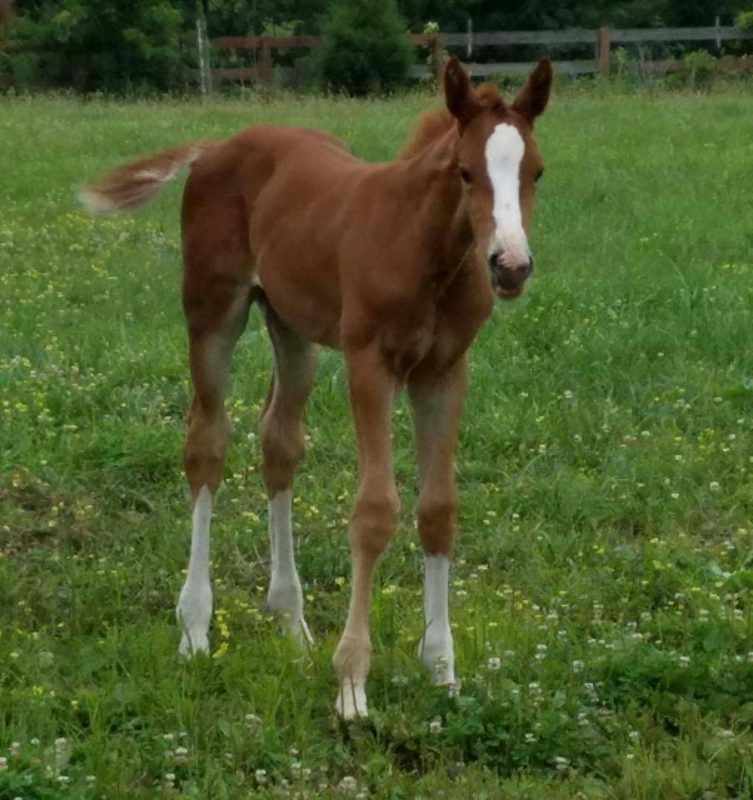 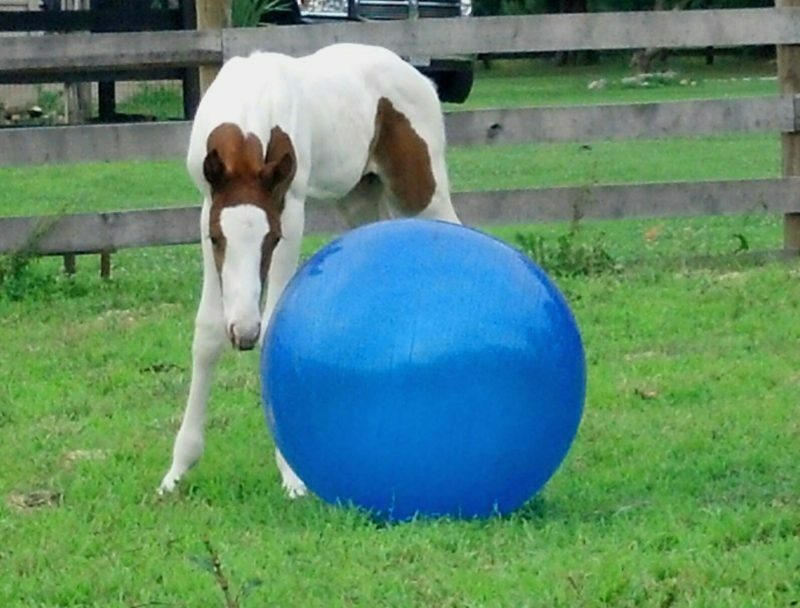 Honorable Mention • Ellen Jordan of White Hall sent us several photos of the Hanoverian/Oldenburg colt London’s Promise by Londonderry’s Luck, owned and bred by Margerette and Greyson Scarff (White Hall). 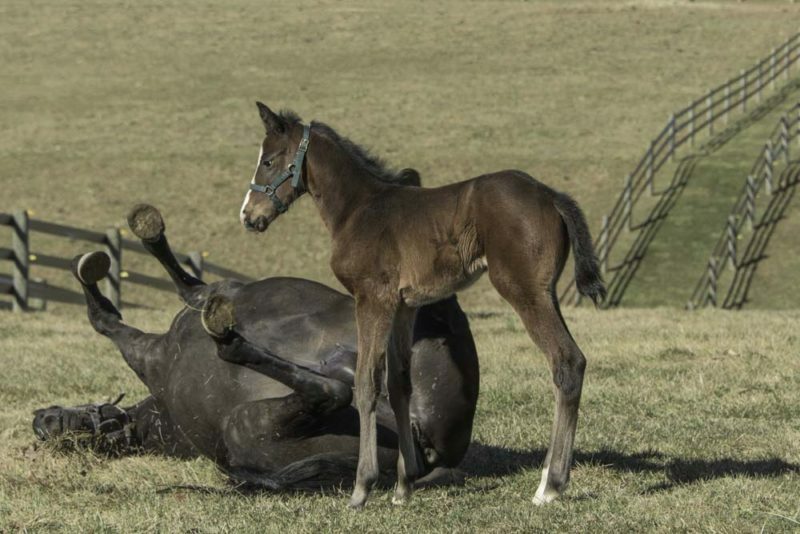 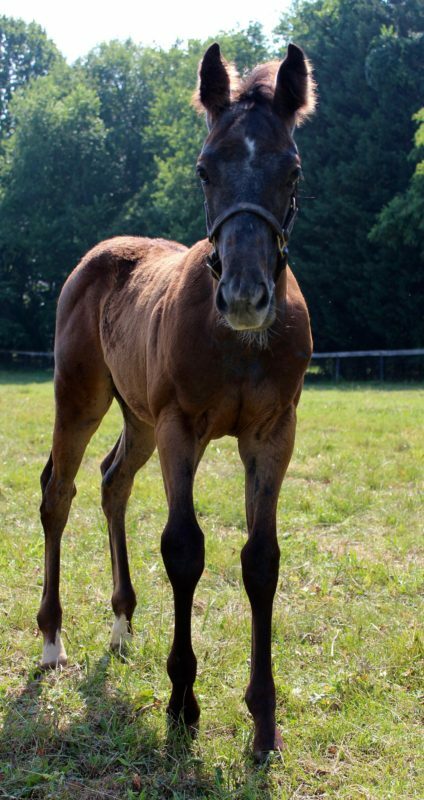 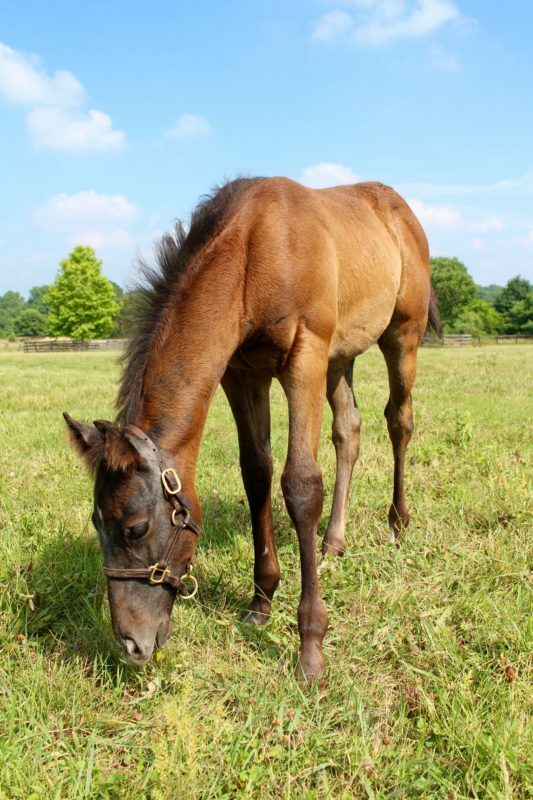 This photo of the colt peeking out from under his dam Ideal Promise (by Ideal) was an instant favorite. 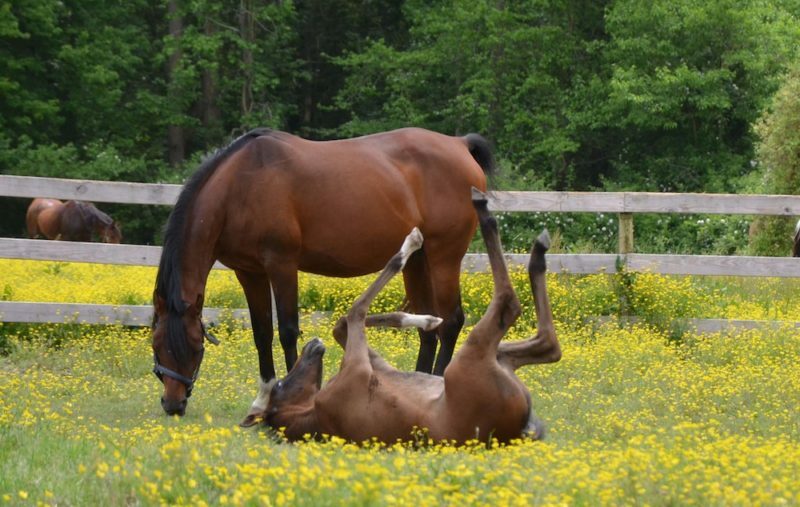 Associate publisher Jennifer Webster loved the unusual pose.